Monday 29th February 2016 – 11.40am – Chris Kowalik. A village in south Staffordshire now has its own defibrillator thanks to the work of its local Community First Responders and three generous donations. 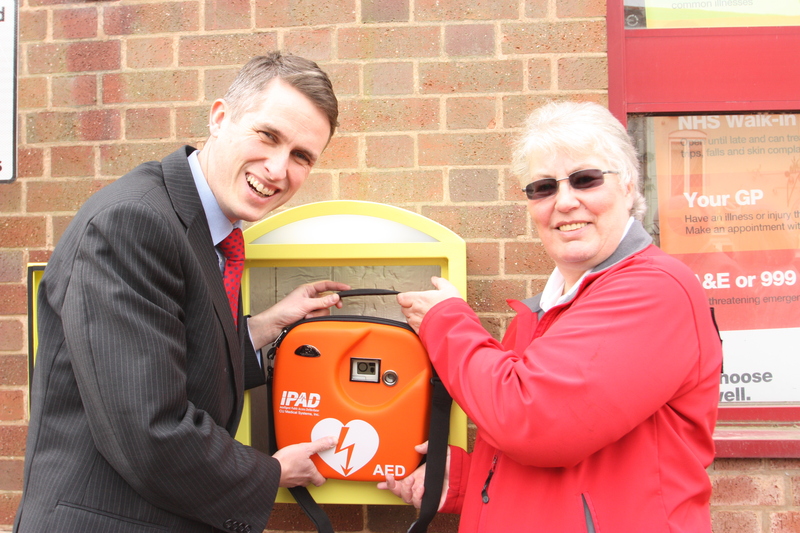 The piece of lifesaving equipment is now mounted to the front of Moss Grove Surgery in Kinver. Jean Morgan, a Community First Responder with the South Staffordshire scheme said: “We were sitting talking in the car last summer in between calls and we said ‘hey let’s just go out there and raise this money and get a defibrillator’. We had three big donations from Rotary Club of Kinver, Kinver Country Fayres Ltd., David Bills MBE and Jane Bills. “We also had collecting tins around the place and we shook a tin during the Christmas lights switch-on. Folks were very generous because by then they had heard that we were trying to raise the money to buy this defibrillator. At its formal unveiling last Friday, Gavin Williamson MP said: “I’m hoping I won’t be asked to use it! 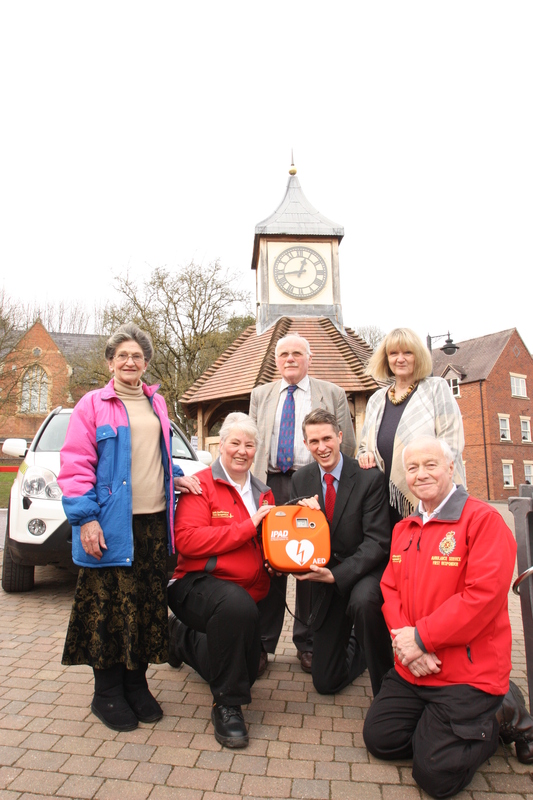 But to have such an important piece of lifesaving equipment right in the heart of Kinver is so vital because those minutes that it could save in terms of making sure that people have lifesaving treatment and equipment near to them can mean the difference between life and death. Do not replace “cardiac arrest” with “heart attack”. Community First Responders are everyday members of the public trained by West Midlands Ambulance Service. They volunteer to respond to medical emergencies in their area while a blue-light ambulance is en-route. A defibrillator is a device that could restart the heart of someone who suffers a cardiac arrest. Sunday 28th February 2016 – 6.55pm – Jamie Arrowsmith. Whilst the road to Wembley may have been an enjoyable one for their respective teams, it was not such plain sailing for a group of Liverpool and Manchester City fans following an RTC on the M6 this morning. 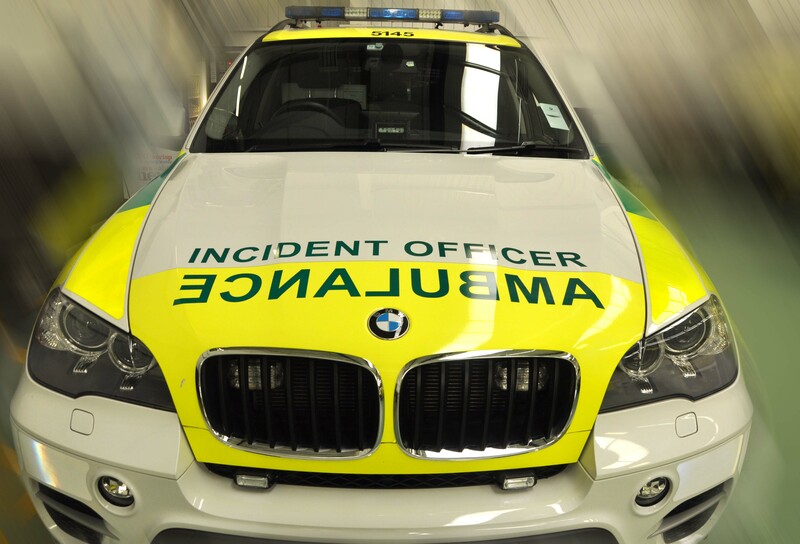 West Midlands Ambulance Service was called to reports of a two car collision on the southbound carriageway of the M6 between junctions 15 and 14, shortly after 11.10am. Two ambulances and a paramedic area support officer attended the scene. A West Midlands Ambulance Service spokesman said: “Crews arrived to discover two cars that had been in collision, one with front end damage and one with rear end damage. “It certainly wasn’t the start to the day the car occupants were hoping for as one contained three Liverpool fans and the other four Manchester City fans, all on their way to Wembley for the Capital One Cup Final. “Two men and a young boy were assessed at the scene but thankfully they were uninjured and all discharged at scene. Sunday 28th February 2016 – 7.50am – John Hawker. 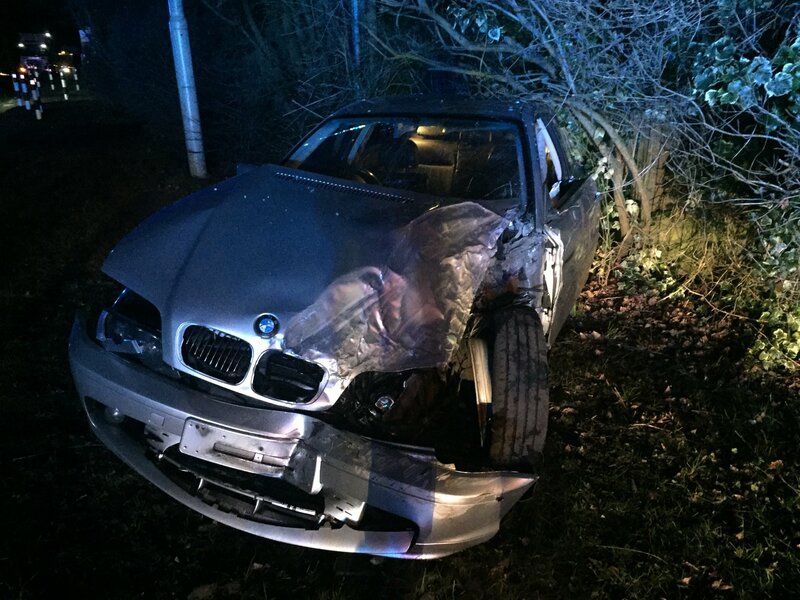 Two women have been injured after their car left the road and hit a tree in the Black Country overnight. The crash occurred on Oxford Way, Tipton at around 1.15am. Two ambulances, a rapid response vehicle, a paramedic officer and the Trusts MERIT Team attended the scene. A West Midlands Ambulance Service spokesman said: “Crews arrived to find a car that had hit a tree and suffered substantial damage. “The occupants of the car, two women believed to be in their late 20’s, were both treated at the scene by medics for their injuries including being disorientated. 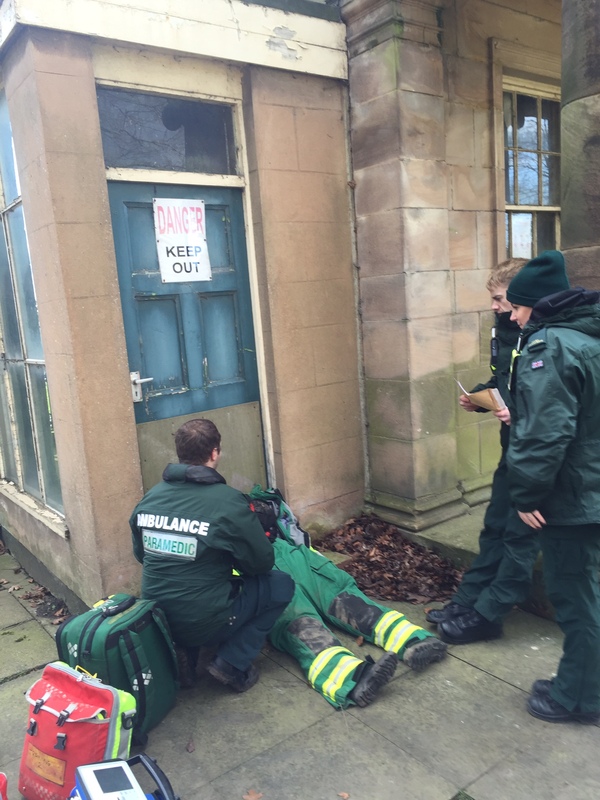 “Both patients were immobilised using a spinal board and neck collar and were transferred by ambulance to Russells Hall Hospital for further treatment. Sunday 28th February 2016 – 7.30am – John Hawker. 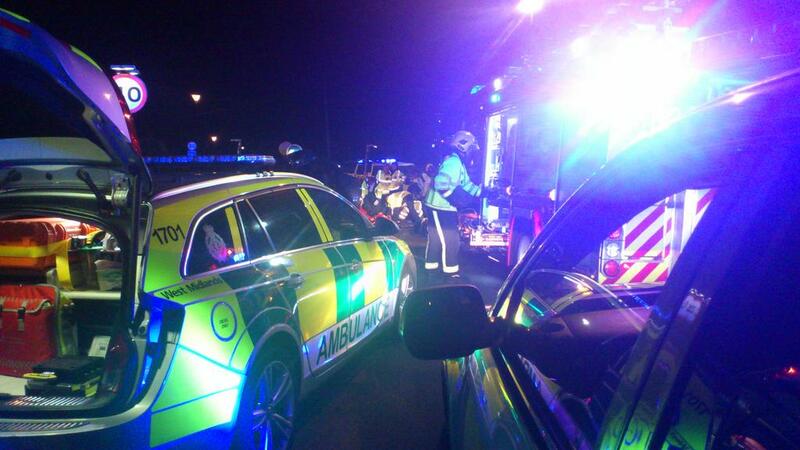 Five people have been treated by paramedics after an RTC in Staffordshire last night. The crash occurred on the A38 Northbound, Barton Under Needwood at around 8.05pm. Two ambulances, a paramedic officer and the Trusts MERIT team attended the scene. A West Midlands Ambulance Service spokesman said: “Crews arrived to find two cars that had been in a serious collision. A motorcyclist had also been injured in the incident. “Three people were travelling in one car; a woman in her 30’s who was a passenger was treated at the scene for back and side pain. Following treatment she was transferred to Burton Queens Hospital for further treatment. “A second passenger, a man in his 30’s, received treatment at the scene for a facial injury and was then discharged by medics. The driver of the car, a man in his 50’s, was checked over by medics but was uninjured. “The driver of the second car, a woman in her 30’s, was also checked over at the scene by medics and was subsequently discharged. Friday 26th February 2016 – 3.20pm – Jamie Arrowsmith. A man’s decision to get out of his broken down vehicle and await rescue on the safety of a motorway embankment has potentially saved him from serious injury following a seven-vehicle collision on the southbound M6 this afternoon. The man had moved to the safety of a grass bank after his van broke down just past junction 13 whilst waiting for recovery, a decision which proved extremely wise given the collision that followed. West Midlands Ambulance Service was called to the incident shortly before 12.30pm and sent three ambulances and a paramedic area support officer to the scene. A West Midlands Ambulance Service spokesman said: “On arrival, crews discovered seven vehicles that had been in collision, a combination of vans and HGVs. “Thankfully, the driver of one of the vans that had broken down prior to the collision had moved away from his vehicle whilst awaiting recovery otherwise he potentially may have suffered serious injuries in the collision that followed. “Crews assessed three patients, two lorry drivers and one woman who witnessed the accident and was treated for the effects of shock. “She, together with one of the lorry drivers, was treated and discharged at the scene. “The other lorry driver, a man, was treated for cuts to his face and taken to New Cross Hospital for further assessment. Thursday 25th February 2016 – 5.10pm – Chris Kowalik. A woman was seriously injured when the car she was driving was involved in a crash with a barrier in Herefordshire this afternoon. 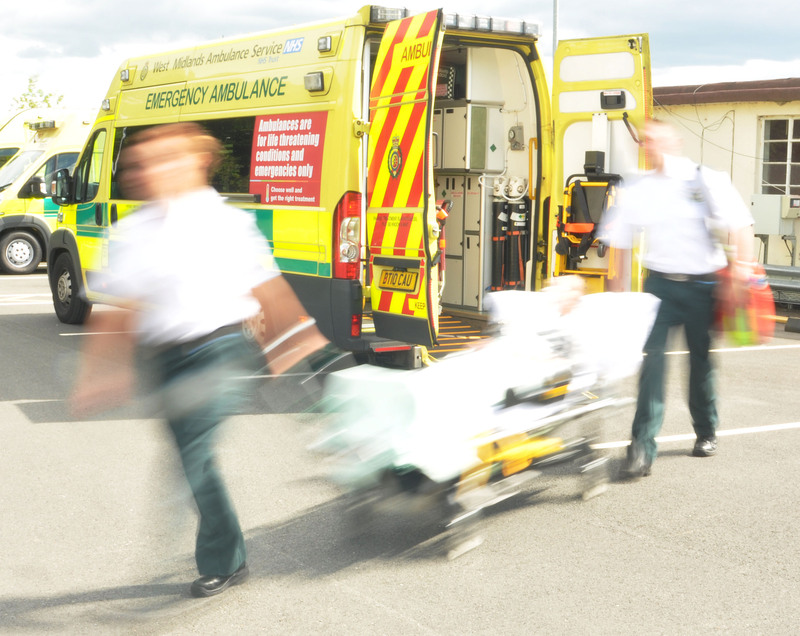 West Midlands Ambulance Service was called to Wilton Road, Ross-on-Wye shortly after 1pm today. Two paramedic officers in rapid response vehicles, an ambulance crew and the Midlands Air Ambulance from Strensham attended. A West Midlands Ambulance Service spokesman said: “The woman driver who is in her sixties had serious leg injuries and a dislocated shoulder. “She was treated at the scene for her injuries which included the application of splints to her legs, the giving of pain relief and immobilisation onto a scoop stretcher. Thursday 25th February 2016 – 1.55pm – Chris Kowalik. Five people have been injured in a collision on the A14 in Leicestershire. West Midlands Ambulance Service was called to help the neighbouring East Midlands Ambulance Service shortly before 8.50am today and sent two ambulance crews, three rapid response vehicles, the Midlands Air Ambulance from Staffordshire and the Warwickshire and Northamptonshire Air Ambulance to the scene. A West Midlands Ambulance Service spokesman said: “It happened on the westbound carriageway approximately two miles from Catthorpe and involved five cars and two lorries. 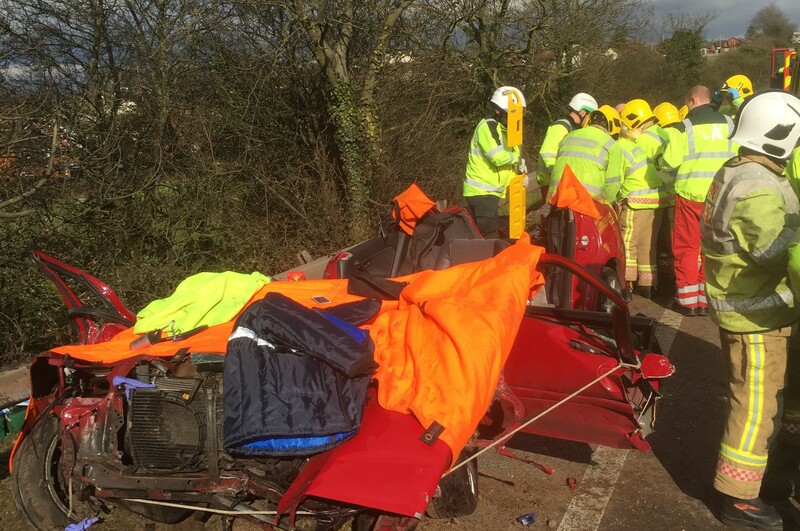 “The driver of a Volvo (red car pictured) had been pulled free by members of the public. He was experiencing pains to his body and had some cuts to his face. He was flown to University Hospital Coventry and Warwickshire. “From the other cars involved, a man with shoulder, back and neck injuries was flown and a woman with back pain was taken by land ambulance, both to the same hospital. Thursday 25th February 2016 – 11.55am – Chris Kowalik. A cyclist has been taken to a major trauma centre following a collision on a main road in Warwick. 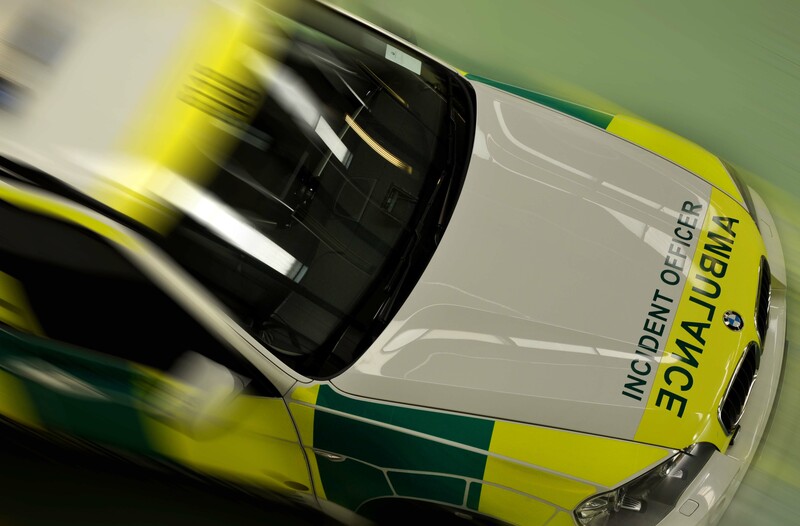 West Midlands Ambulance Service was called to a report of a collision involving a van and a bicycle on the A425 at its junction with Myton Road shortly before 7.45am today. A paramedic area support officer in a rapid response vehicle, an ambulance crew and the Warwickshire and Northamptonshire Air Ambulance attended. A West Midlands Ambulance Service spokesman said: “The cyclist, a man in his thirties, had a head injury. He was treated and immobilised at the scene. Thursday 25th February 2016 – 11.45am – John Hawker. The driver of a car that crashed in Birmingham this morning was trapped for 40 minutes after suffering serious injuries. West Midlands Ambulance Service were called to Lawley Middleway at around 4.40am. Two ambulances, a paramedic officer and the Trusts MERIT Team attended the scene. A West Midlands Ambulance Service spokesman said: “Crews arrived to find a car that had crashed into a roundabout and suffered substantial damage. “The man driving the car had suffered serious leg injuries and was trapped in the vehicle. 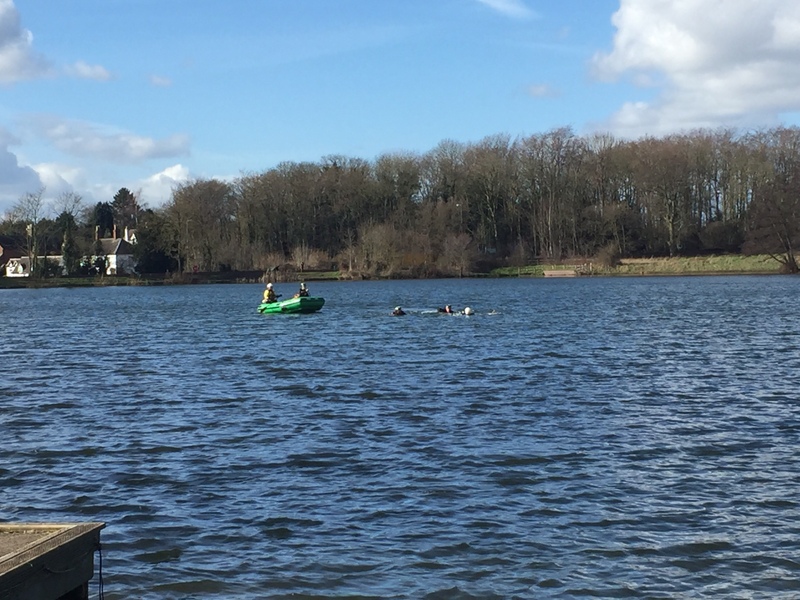 He received emergency treatment by medics at the scene and his condition was stabilised. He was then extricated from the vehicle with the assistance of the fire service. “Once released, the man believed to be in his 20’s, was transferred by land ambulance to Queen Elizabeth Hospital Major Trauma Unit for further emergency treatment. Thursday 25th February 2016 – 9.30am – John Hawker. 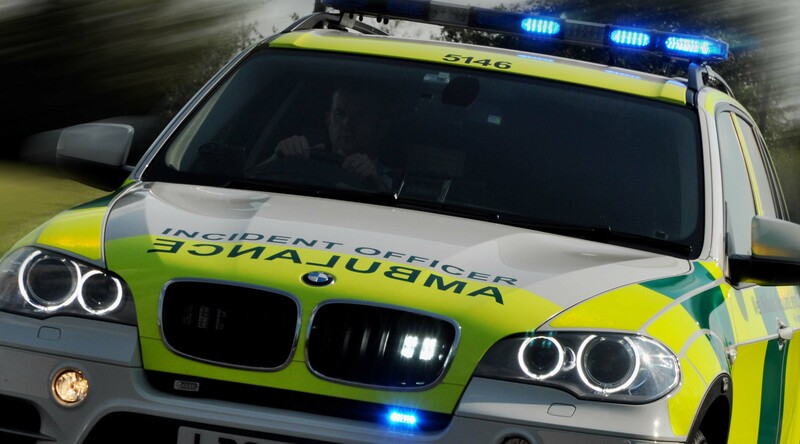 A man has died and two others have been injured following an RTC in Shropshire last night. 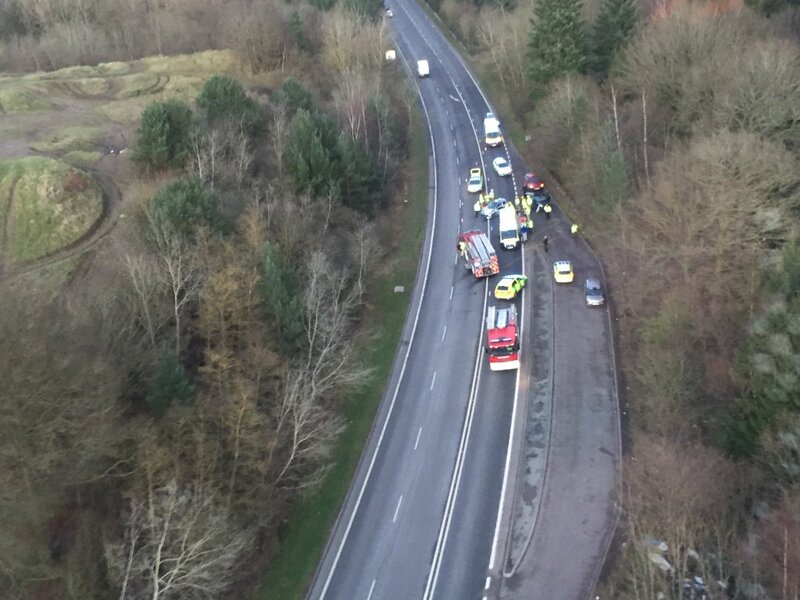 The crash occurred on the A454, near Swancote, near Bridgnorth at around 6.40pm. A rapid response vehicle, an ambulance and a paramedic officer attended the scene. A West Midlands Ambulance Service spokesman said: “Crews arrived to find a motorcyclist that had suffered multiple serious injuries. Unfortunately nothing could be done to save the man and he was sadly confirmed dead at the scene. “A man on a second motorcycle, believed to be in his 30’s, suffered a hand and shoulder injury. He received treatment at the scene from medics and was subsequently discharged. Thursday 25th February 2016 – 6.30am – John Hawker. 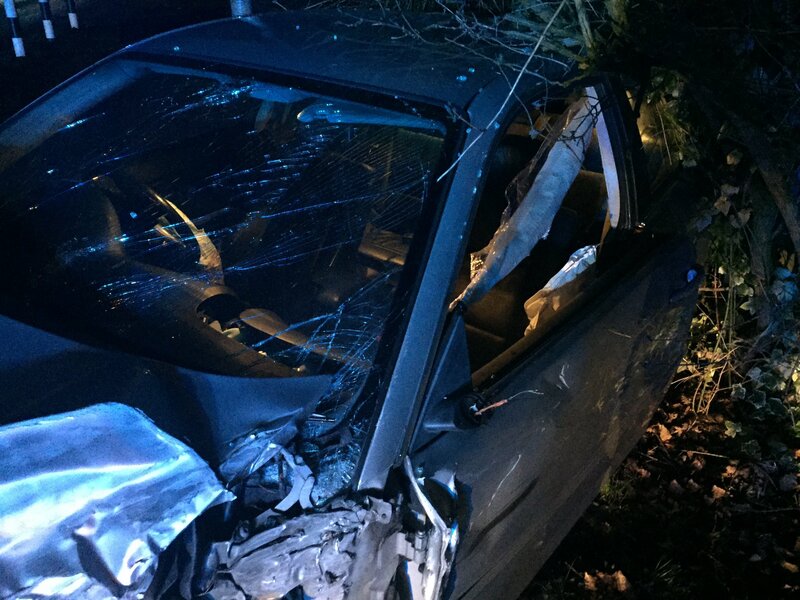 The driver of a car has been extremely fortunate not to have suffered more serious injuries following an incident on the M40 yesterday afternoon (Wednesday). Ambulance crews were called to the M40 Southbound, between junctions 12 and 11 at around 4.30pm. An ambulance, a paramedic officer and the Warwickshire and Northamptonshire Air Ambulance attended the scene. A West Midlands Ambulance Service spokesman said: “Crews arrived to find a car that had been in a significant collision with the rear of a highways maintenance vehicle that had been stationary on the hard shoulder. “It is believed the man driving the vehicle had suffered a medical episode whilst driving. “The man, in his 40’s, received emergency treatment at the scene from medics for the medical episode and also for head and facial injuries. Following treatment the man was removed from the car with the assistance of the fire service. 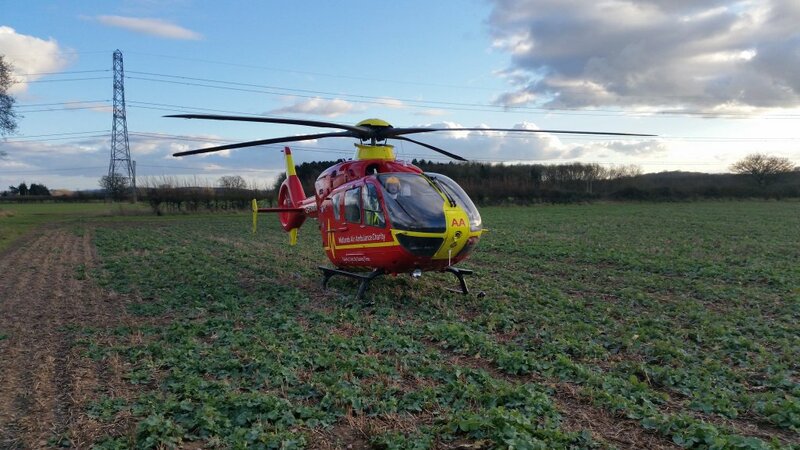 “The man’s condition was stabilised and he was then airlifted to University Hospital Coventry and Warwickshire for further emergency treatment. “Considering the damage to the vehicle and the nature of the incident the man was extremely fortunate not to have suffered more serious or even fatal injuries in the crash. Wednesday 24th February 2016 – 2.30pm – Jamie Arrowsmith. A teenager has died following a road traffic collision with a van this morning. West Midlands Ambulance Service was called to Birmingham Road in Great Barr, shortly after 8.30am and sent two ambulances, a paramedic area support officer, a BASICS doctor and the Midlands Air Ambulance from Cosford to the scene. A West Midlands Ambulance Service spokesman said: “When ambulance staff arrived they found a teenage girl who had suffered very serious injuries. 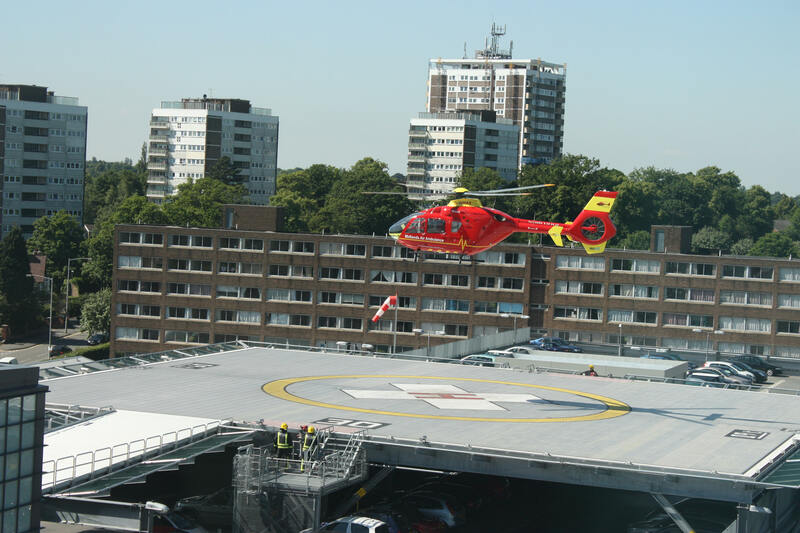 “Crews immediately began advanced life support and she was quickly transferred to Queen Elizabeth Hospital, Birmingham on blue lights and sirens with the doctor from the air ambulance travelling on the back of the ambulance to continue emergency treatment en-route. “Unfortunately, shortly after arrival at hospital it became apparent that nothing could be done to save her and she was confirmed deceased. Notes to Editor: We have no more details regarding this incident. Wednesday 24th February 2016 – 2.10pm – Jamie Arrowsmith. 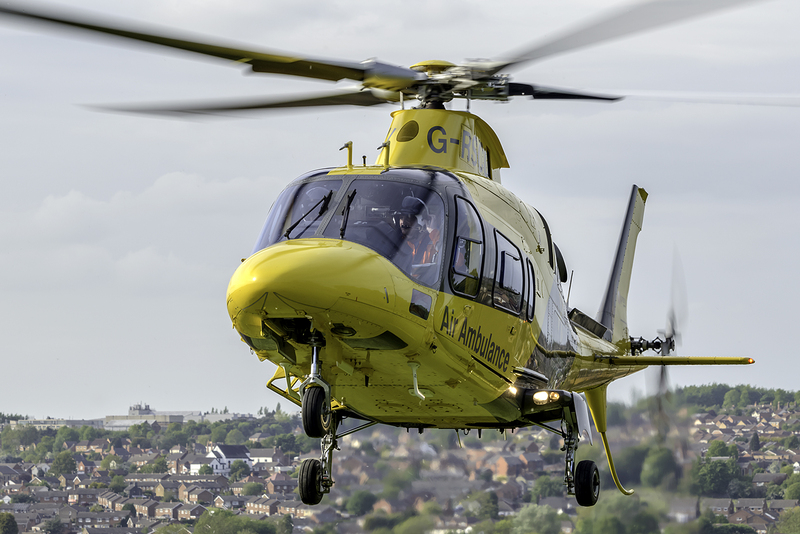 A cyclist has been airlifted to one of the region’s major trauma centres after falling from her bicycle whilst out riding in a group this morning. 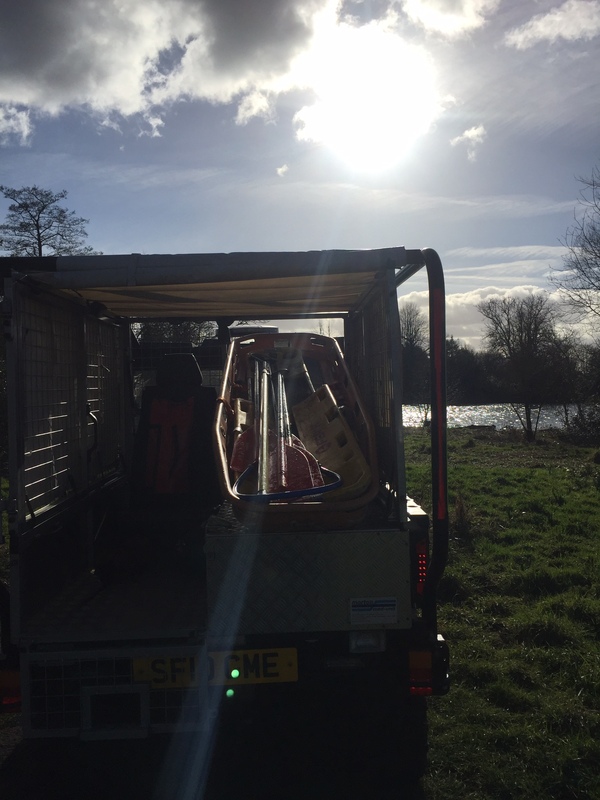 West Midlands Ambulance Service was called to the incident near to Wawensmere Road in Henley-in-Arden, shortly after 10.50am and sent an ambulance, a rapid response paramedic and a community first responder to the scene. 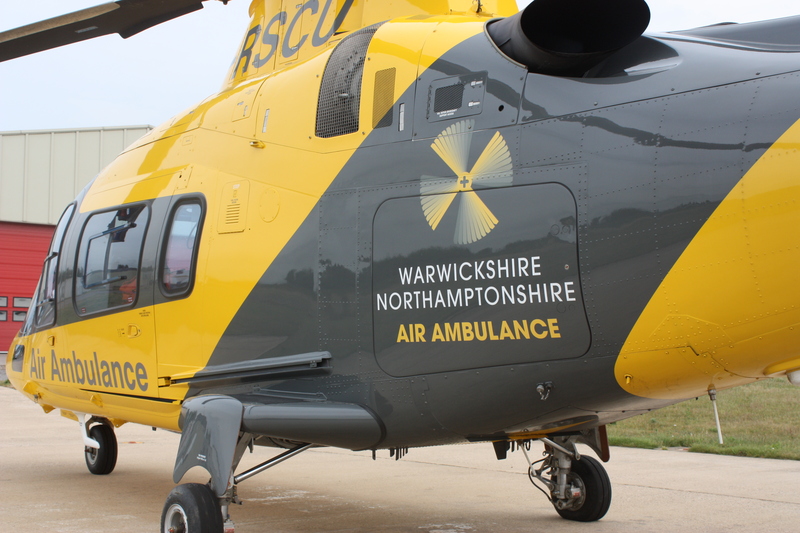 The Warwickshire and Northamptonshire Air Ambulance was also in attendance. A West Midlands Ambulance Service spokesman said: “On arrival, crews were told that the patient, a woman believed to be in her 50s, had fallen after skidding on a patch of ice. “She was already receiving care and attention from fellow cyclists before ambulance staff took over treatment for a head injury and a suspected wrist injury. “The woman remained stable throughout but did suffer from a slightly reduced level of consciousness. 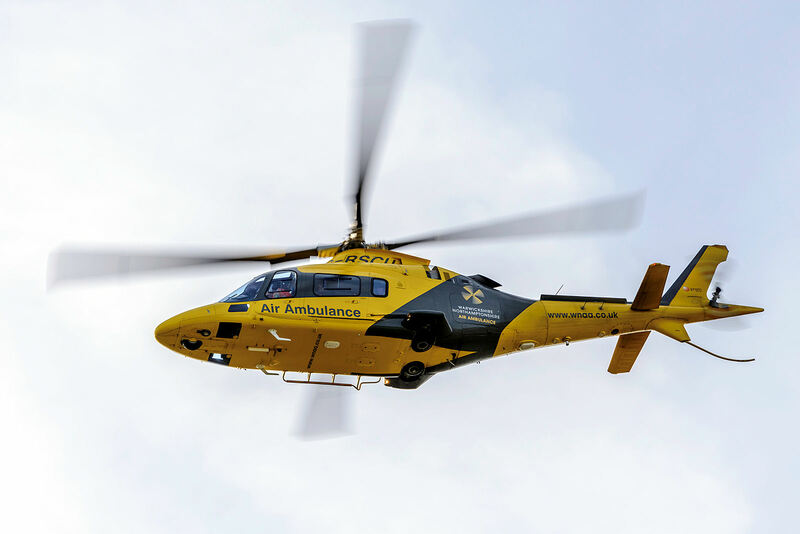 “She was immobilised with the use of a neck collar and spinal board before being carefully moved to the air ambulance which had landed in a nearby field. Tuesday 23rd February 2016 – 11.15pm – Murray MacGregor. 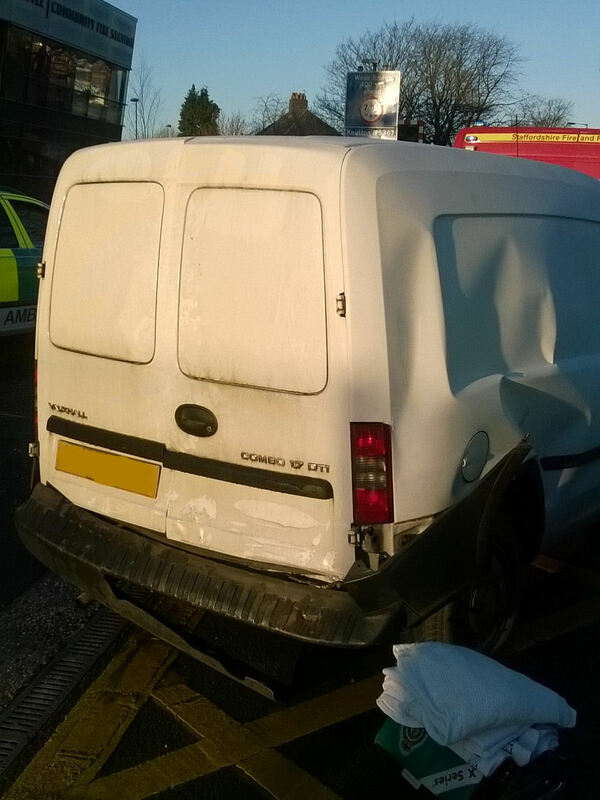 An elderly woman has suffered serious injuries after a collision with a small van. It happened at about 10.40am on Tuesday near the junction of Silvercroft Avenue and Friary Road in the Handsworth area of Birmingham. A rapid response vehicle and an ambulance were on scene within four minutes of the call and were backed up by a paramedic area support officer and the Midlands Air Ambulance from Cosford with a trauma doctor on board. A West Midlands Ambulance Service spokesman said: “On arrival, crews found an elderly lady who had suffered very serious injuries. “She was anaesthetised on scene and then taken by land ambulance to the Queen Elizabeth Hospital Birmingham where medics were awaiting her arrival. Tuesday 23rd February 2016 – 7.00am – Murray MacGregor. For over 30 members of staff, Monday was a small insight into what could be a new career in the ambulance service. The paramedics were all vying for places on the latest training course to be come a member of the Hazardous Area Response Team (HART). The staff who are trying to get selected had to go through a number of tests at Himley Hall in Dudley. 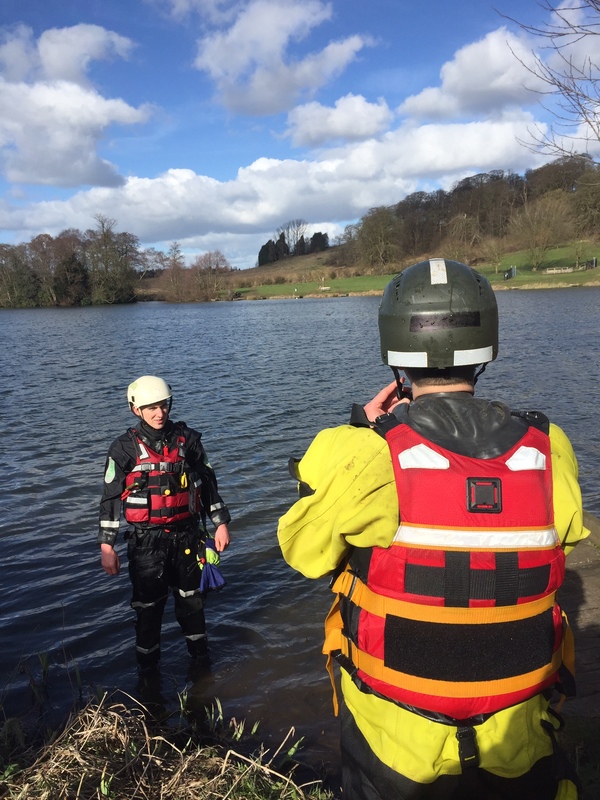 These included a 2 mile run, swimming 200m in a dry suit, helmet gloves and with a floatation device, a detailed clinical assessment and an exercise that involved working as a team. HART Manager, James Price said: “The staff that put themselves forward were first and foremost, excellent paramedics. However, to get through this initial round of selection they also needed to be fit, determined, up for working in a team, supportive and not afraid to show leadership when required. “We were very pleased with just how well prepared the candidates were – it was a very positive day. Thank you to Dudley Metropolitan Borough Council for allowing us to use the facilities at Himley Hall. “We will be whittling the numbers down with a view to interviewing the successful candidates later this week. If they get through that then they can begin a three month intensive training package before they can really start to learn as part of the active HART teams. Monday 22nd February 2016 – 3.10pm – John Hawker. 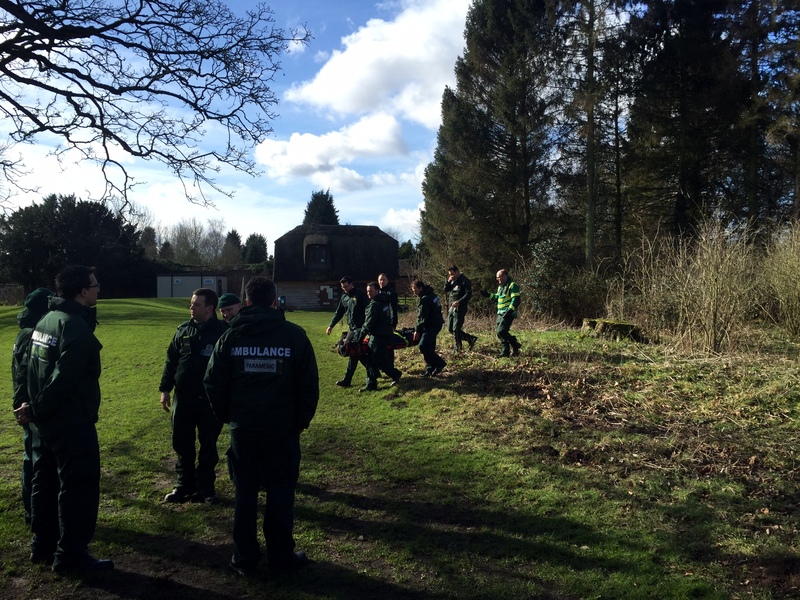 A walker who slipped and suffered a serious leg injury has been rescued from a muddy path by paramedics using specialist equipment. West Midlands Ambulance Service were called to a public footpath off Pedmore Lane, near to St Peters Church, Pedmore at around 10.15am this morning. A rapid response vehicle, an ambulance and the Trusts Hazardous Area Response Team attended the scene. 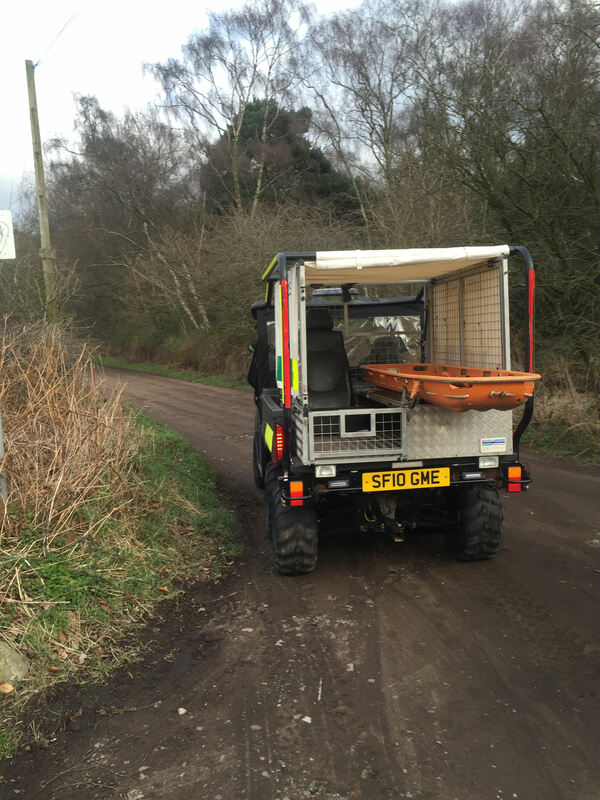 A West Midlands Ambulance Service spokesman said: “Crews found the woman around 100 metres from the road up a narrow path that was very muddy. In places the mud was around 1ft deep. “The woman had slipped whilst walking and suffered a suspected fractured ankle. The first paramedic on scene administered pain relief and asked for the HART team to attend to assist in getting the woman safely to the ambulance. 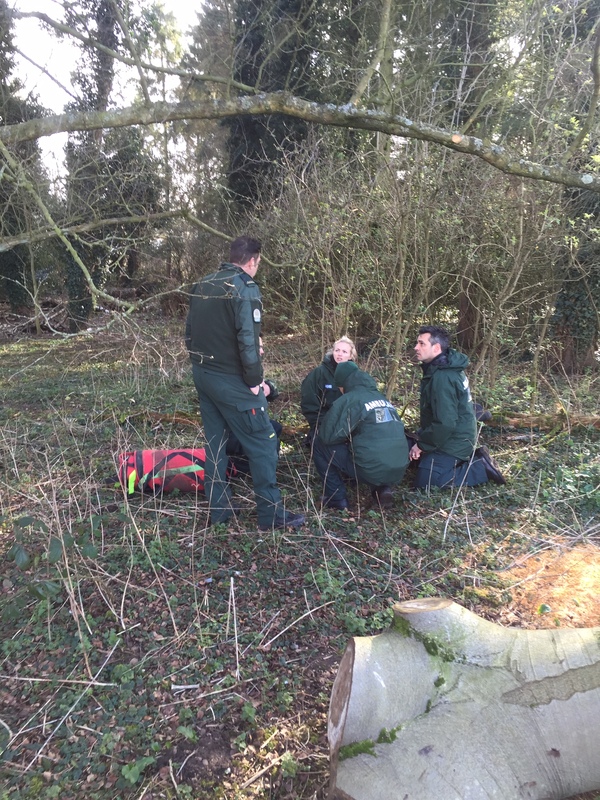 “The HART team used a specialist Faretech stretcher to transport the patient down the path to the awaiting ambulance. The stretcher has two large wheels that enables it to be used where normal stretchers cant. Monday 22nd February 2016 – 11.45am – John Hawker. The driver of a small van has suffered potentially serious injuries following an RTC in Warwickshire this morning. The crash occurred on the A429, Tredington, Shipston on Stour at around 8.50am. An ambulance, a paramedic officer and the Warwickshire and Northamptonshire Air Ambulance attended the scene. A West Midlands Ambulance Service spokesman said: “Crews arrived to find a car and small van that had been in a serious collision. Both vehicles had suffered substantial front end damage. “The man driving the small van, believed to be in his early 20’s, was treated at the scene by medics for suspected pelvic and leg injuries. He received pain relief whilst still in the van and was subsequently safely removed with the assistance of the fire service. 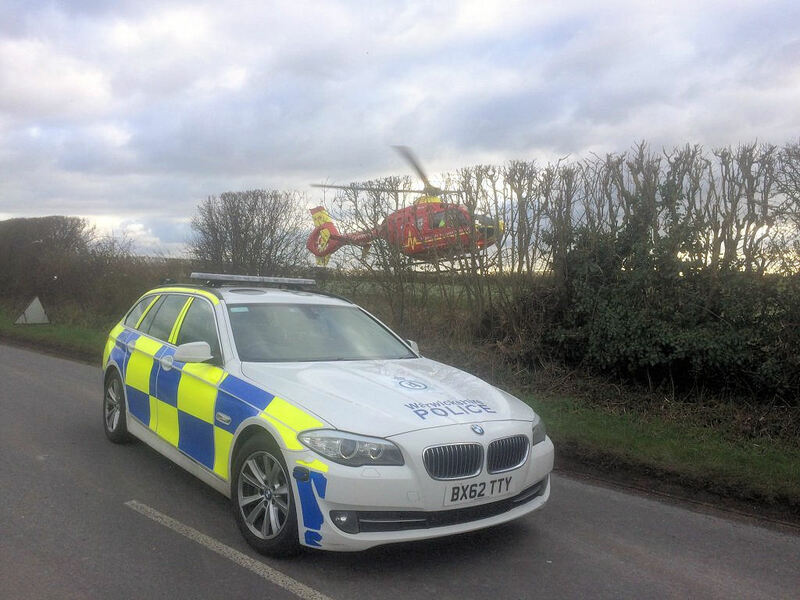 “Following treatment the man was airlifted to University Hospital Coventry and Warwickshire for further treatment. “The man driving the car involved in the crash, a man in his 50’s, was checked over at the scene by medics for minor injuries and was then discharged. The dog travelling in the boot of the car was also uninjured in the crash. Monday 22nd February 2016 – 9.45am – Murray MacGregor. It’s thanks to a safety bar fitted to the rear of HGV trailers that two elderly friends are still alive today. The car they were in was in collision with a container lorry on the northbound A46 just before the Stoneleigh turning at around 7.45pm last night (Sunday). Two ambulances and a paramedic area support officer were sent to the scene after a number of calls to the ambulance service. 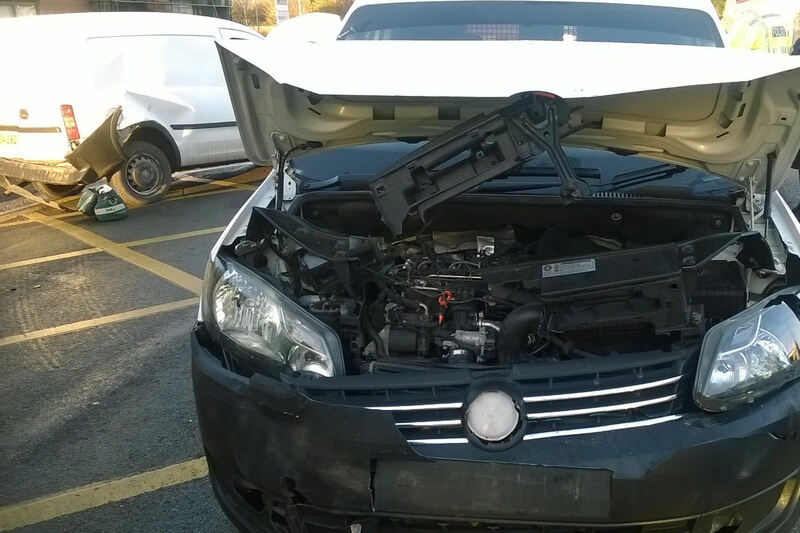 A West Midlands Ambulance Service spokesman said: “On arrival, crews found a car that had suffered very severe front end damage, especially on the passenger side. The safety bar on the rear of the HGV trailer was badly bent but had held despite the collision. “The elderly man driving the car had managed to get out and had suffered only minor injuries. He was taken to University Hospital Coventry and Warwickshire as a precaution. “Unfortunately, the 89 year old lady in the front passenger seat was trapped. Ambulance staff treated the woman while firefighters carefully removed the roof and door of the car to allow the woman to be freed; in total she was trapped for just over an hour. Sunday 21st February 2016 – 6.20pm – Murray MacGregor. A moto-x rider has been airlifted after suffering a potentially serious back injury after coming off his bike as he landed after going over a jump. The crash happened at an event at Chesterton Mill Cottage, at Chesterton near Bridgnorth a little after 12:30pm on Sunday lunchtime. An ambulance and the Midlands Air Ambulance from Cosford with a trauma doctor on board were sent to the scene. A West Midlands Ambulance Service spokesman said: “The initial call came from event medical staff who said that the rider, who is in his 20s, came off as he landed on a steep downward slope. He was seen to go over the handlebars and landed on mud. Sunday 21st February 2016 – 1.40pm – Murray MacGregor. 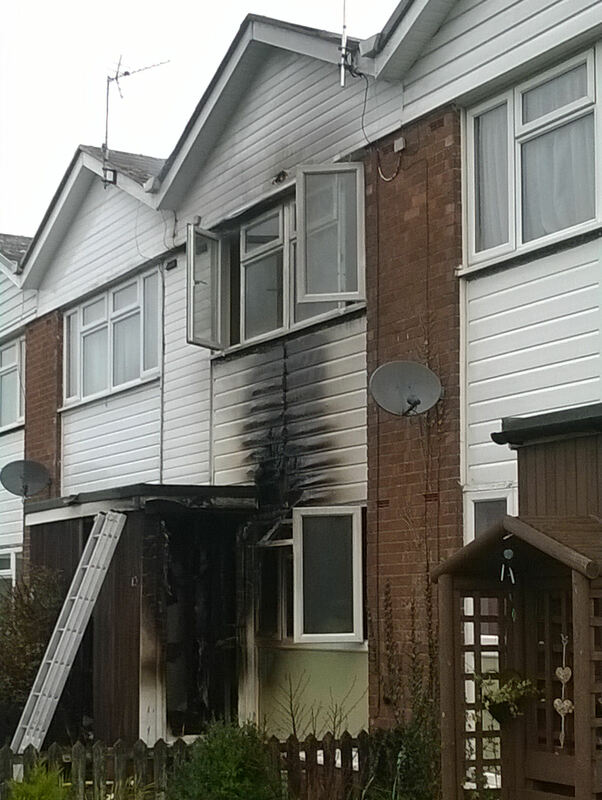 Two women have been treated for the effects of smoke inhalation and shock after an early morning fire in a mid-terraced property. Shropshire Fire & Rescue Service alerted West Midlands Ambulance Service at 6.53am on Sunday morning to the fire in Harlescott. An ambulance was on scene within five minutes and was backed up by a paramedic area support officer shortly afterwards. A West Midlands Ambulance Service spokesman said: “A woman estimated to be in her 60s was brought out of the mid-terraced property by firefighters. She was suffering from the effects of smoke inhalation. “She was treated by ambulance staff at the scene before being taken to Royal Shrewsbury Hospital for further assessment. “A number of residents were evacuated from neighbouring properties due to the risk of the fire spreading. “A second woman from another home was also checked over by ambulance staff but she was discharged on scene. Saturday 20th February 2016 – 7.43pm – Murray MacGregor. A woman who fell into a road and collided with a car has been airlifted to a major trauma centre with a potentially serious head injury. The incident happened at about 1.45pm on Saturday outside Monkmoor Stores in Monkmoor Road in Shrewsbury. A rapid response vehicle, an ambulance and the Midlands Air Ambulance from Cosford with the MERIT trauma doctor on board were sent to the scene. The aircraft landed in a nearby park. A West Midlands Ambulance Service spokesman said: “The woman, who is believed to be in her 30s, had just come out of the shop when the incident happened. “Due to her ‘disorientated’ state, it was difficult to assess her condition, but she had clearly suffered a head injury. “She was immobilised and, due to her condition, was anaesthetised at the scene before being airlifted to the major trauma centre at the Royal Stoke University Hospital. Saturday 20th February 2016 – 7.20pm – Murray MacGregor. 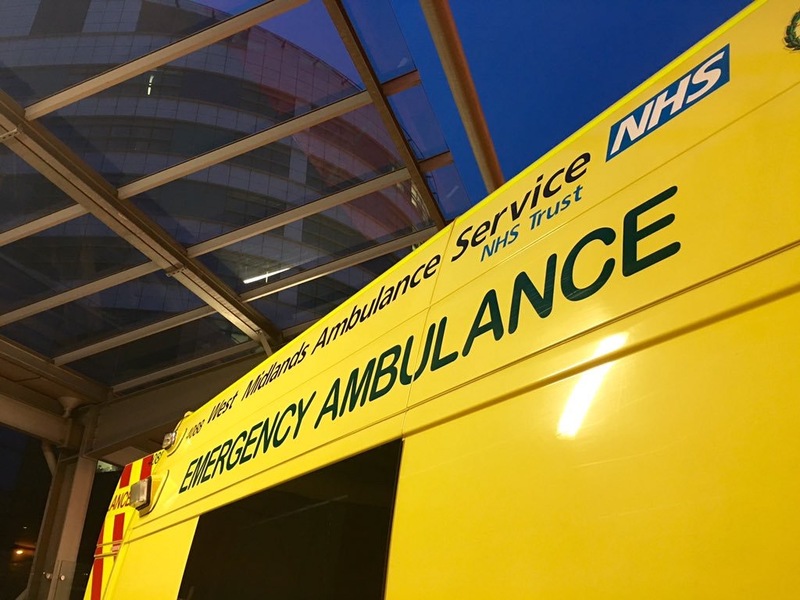 A man has suffered potentially serious head injuries after a collision with a double decker bus in the centre of Birmingham. The incident happened at about 1.20pm outside Walkabout on Broad Street. An ambulance, a paramedic area support officer and the West Midlands Care Team car were sent to the scene. A West Midlands Ambulance Service spokesman said: “The windscreen of the bus had been cracked and the 41 year old man was suffering from a head injury. “On arrival, ambulance staff found an off duty radiographer and a first aider treating the man. They were told that he’d been dragged along the road a short distance. “Due to his ‘disorientated’ state, it was difficult to accurately assess his condition so crews acted on a worst case scenario. He was immobilised and taken on blue lights to the major trauma centre at Queen Elizabeth Hospital Birmingham. Saturday 20th February 2016 – 7.00pm – Murray MacGregor. A cyclist has died after a collision with a small 4×4 on Saturday morning. The tragic incident happened at about 10.05am on the B4452 at Ufton Pools near the village of Harbury in Warwickshire. The Warwickshire and Northamptonshire Air Ambulance and a paramedic area support officer were sent to the scene. A West Midlands Ambulance Service spokesman said: “On arrival, ambulance staff found a cyclist who had suffered very serious injuries. “Despite extensive efforts to save the man, unfortunately, they were in vain and he was confirmed dead at the scene. Saturday 20th February 2016 – 8.30am – Murray MacGregor. 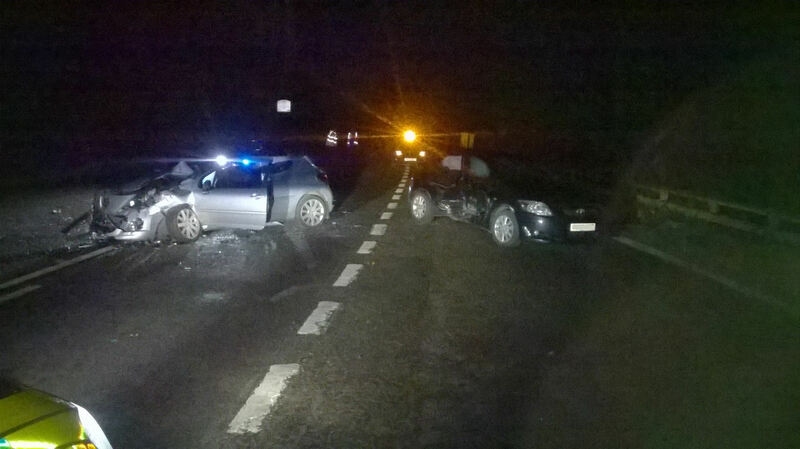 Two cars were left badly damaged after a crash on a dual carriageway overnight. 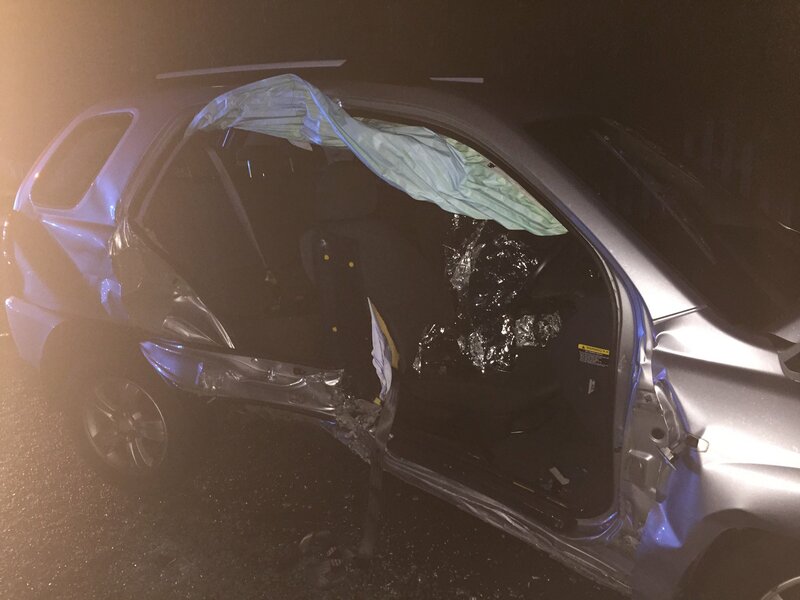 The incident happened on the A453 between Bassets Pole Island and Tamworth at about 11.40pm on Friday night. Three ambulances, a paramedic area support officer and the West Midlands Care Team were sent to the scene. A West Midlands Ambulance Service spokesman said: “On arrival, crews found two cars that had suffered significant damage. “One had intrusion on the driver’s side; the other had front end damage. “A couple in their 70s from the Dudley area were in the first car. Due to the damage, ambulance staff asked firefighters to remove the door of the car to assist in getting the driver out. “After assessment and treatment at the scene, the husband and his wife were taken by ambulance to Walsall Manor Hospital; their condition was not thought to be too serious. “A couple in their 20s in the second car were assessed at the scene, however, against advice they chose not to go to hospital. Friday 19th February 2016 – 11.10pm – Murray MacGregor. A window cleaner has suffered serious head injuries after a fall. The incident happened in Bloomsbury Street in the Nechells area of Birmingham at about 12.40pm on Friday lunchtime. An ambulance, a paramedic area support officer and the CARE Team doctor were sent to the scene. The first ambulance arrived within 8 minutes of the call. A West Midlands Ambulance Service spokesman said: “When crews arrived they found the man had fallen approximately 12 feet from a ladder. “He had suffered a serious head injury. The doctor anaesthetised him at the scene before he was taken on blue lights to the Major Trauma Centre at Queen Elizabeth Hospital Birmingham. Friday 19th February 2016 – 8.15am – Murray MacGregor. A lady who was out walking with her family and a dog has been airlifted from a boggy field after falling and breaking her arm. The incident happened in a field off Spernal Lane near Studley in Warwickshire at about 2.45pm on Thursday afternoon. Initially a community first responder and an ambulance crew attended the scene, but they requested an air ambulance due to the location. A West Midlands Ambulance Service spokesman said: “The ambulance staff and CFR had to walk down a narrow lane and across a field to where the woman was and there was no vehicle access. “The woman, who was in her 60s, had a suspected fractured arm and was in a lot of pain. 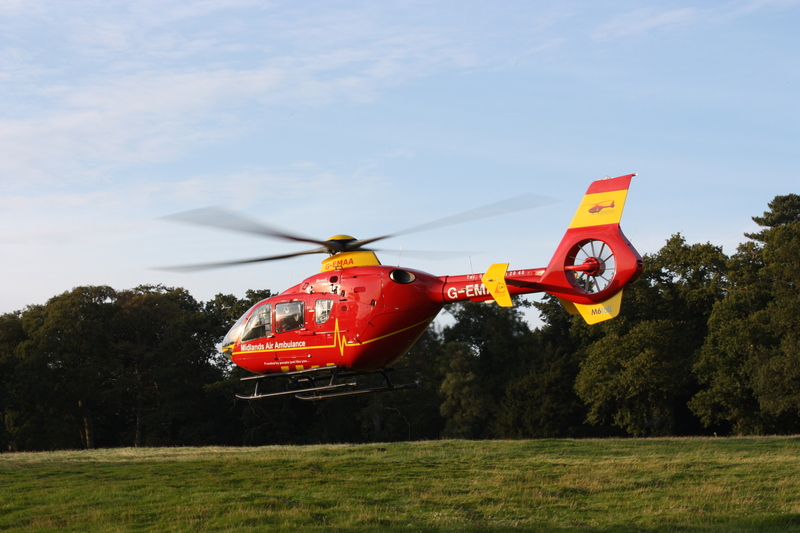 “Given the location, the crew requested an air ambulance and the Midlands Air Ambulance from Strensham was dispatched. Thursday 18th February 2016 – 10.15pm – Murray MacGregor. Five people have been taken to hospital after a crash that saw one patient trapped for about an hour. The crash on the A4169 at Buildwas Bank on the Ironbridge bypass in Shropshire happened at about 4.50pm on Thursday afternoon. A rapid response vehicle came across the incident shortly after it happened. The paramedic was backed up by three ambulances, a paramedic area support officer and the Midlands Air Ambulance from Staffordshire. A West Midlands Ambulance Service spokesman said: “When crewS arrived they found two cars that had been badly damaged. “The first, a small silver Peugeot had front nearside damage. The black Toyota had around 8 inches of intrusion around the B pillar between the front and back doors on the driver’s side. “The driver of the Peugeot, a woman estimated to be in her 30s was trapped for about an hour. While she received treatment from ambulance staff, firefighter removed the door and roof of the vehicle. “She was complaining of neck and right shoulder pain. She was immobilised before being taken to Royal Shrewsbury Hospital. “There were four people in the Toyota; two adults and two children. “The 31 year old woman driving had neck, chest and side pain. She was immobilised and travelled to Royal Shrewsbury Hospital with a two year old girl who had been securely strapped into a car seat in the rear and was uninjured. “A man in his 30s who was the front seat passenger was out of the vehicle and walking around but was complaining of general aches and pains. He travelled to the same hospital with a boy of about 6 years who was complaining of neck pain. Thursday 18th February 2016 – 4.45pm – John Hawker. 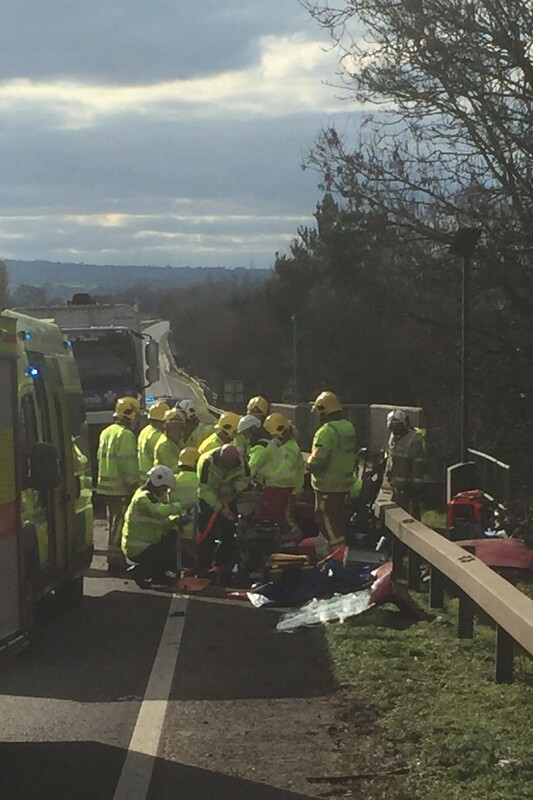 A man driving a 4×4 vehicle had a lucky escape after it flipped over after an RTC on the M40 this afternoon. 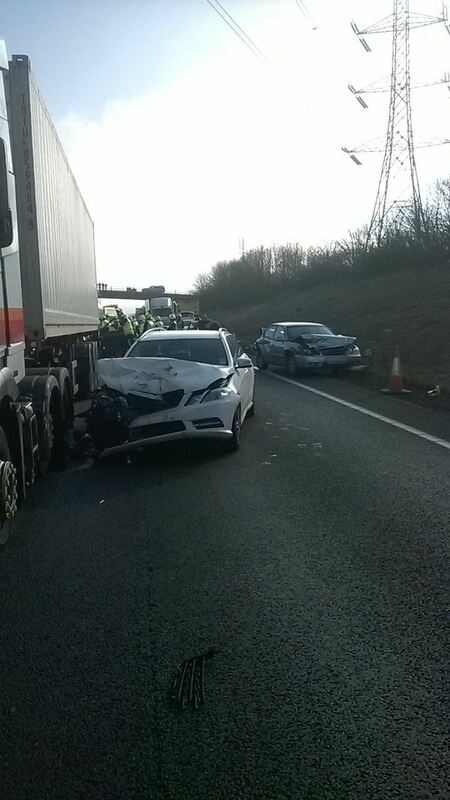 The crash occurred between junctions 12 and 11 Southbound at around 1.45pm. An ambulance and a paramedic officer attended the scene. A West Midlands Ambulance Service spokesman said: “Crews arrived to find a 4×4 vehicle and a lorry that are believed to have been in a collision. The 4×4 had come to rest on its side near the central reservation. “The man driving the 4×4, believed to be in his early 40’s, had suffered minor injuries and was checked over at the scene by medics. The man declined further treatment and was discharged. “No one else was injured in the crash. Thursday 18th February 2016 – 4.15pm – John Hawker. A trucker has been injured after two HGV’s were in collision on a motorway this morning. The crash occurred on the M40 southbound between junctions 12 and 11 at around 10.10am. Two ambulances, two paramedic officers and the Warwickshire and Northamptonshire Air Ambulance attended the scene. A West Midlands Ambulance Service spokesman said: “Crews arrived to find two HGV’s that had been in a collision. One had suffered substantial front end damage. “The man driving the lorry with the front end damage, believed to be in his early 50’s, suffered hand, arm and shoulders injuries. “He received treatment at the scene from medics including pain relief. Following treatment the man was transferred by land ambulance to Warwick Hospital for further treatment. Wednesday 17th February 2016 – 2pm – Jamie Arrowsmith. Three adults and two children required medical attention at the scene of a two-car road traffic collision this morning before being transported to hospital. West Midlands Ambulance Service was called to Gospel End Street in Dudley at 9.40am and sent three ambulances and a paramedic area support officer to the scene. A West Midlands Ambulance Service spokesman said: “On arrival, crews discovered two cars that had suffered significant damage in the collision. “There were six patients in total, two men travelling in one of the cars and two women and two children who were travelling in the other. “One of the men, who remained conscious throughout, received treatment for a head injury before being transported to New Cross Hospital. The other man was uninjured. “The driver of the second car, a woman thought to be in her 20s, was treated for a suspected broken wrist and given pain relief. “The passenger, also a woman in her 20s, had suffered cuts to her head in the collision for which she also received treatment at the scene. Wednesday 17th February 2016 – 9.10am – Murray MacGregor. Two motorcyclists suffered broken legs after separate crashes in two completely different locations, within 11 minutes of each other overnight. The first happened in the Quinton area of Birmingham at 12.18am; the second happened in Coventry at 12.29am. An ambulance and the MERIT trauma doctor were sent to the initial incident in West Boulevard after a motorcyclist collided with a parked car. The man in his 30s suffered a badly broken left leg and a right arm injury. After advanced pain relief from the doctor, the ambulance staff were able to straighten and splint his leg before he was taken on blue lights to the major trauma centre at the Queen Elizabeth Hospital in Birmingham; the doctor travelled with the crew. The second incident happened at the junction of London Road and Acacia Avenue in Coventry. An ambulance and a paramedic area support officer attended this incident. The motorbike had collided with the driver’s side of a car causing significant damage to the bike and car. Like the other incident, the 31 year old rider suffered a broken left leg. He was taken to the major trauma centre at University Hospital Coventry & Warwickshire. How on earth did he get out of that without serious injuries? Wednesday 17th February 2016 – 8.55am – Murray MacGregor. 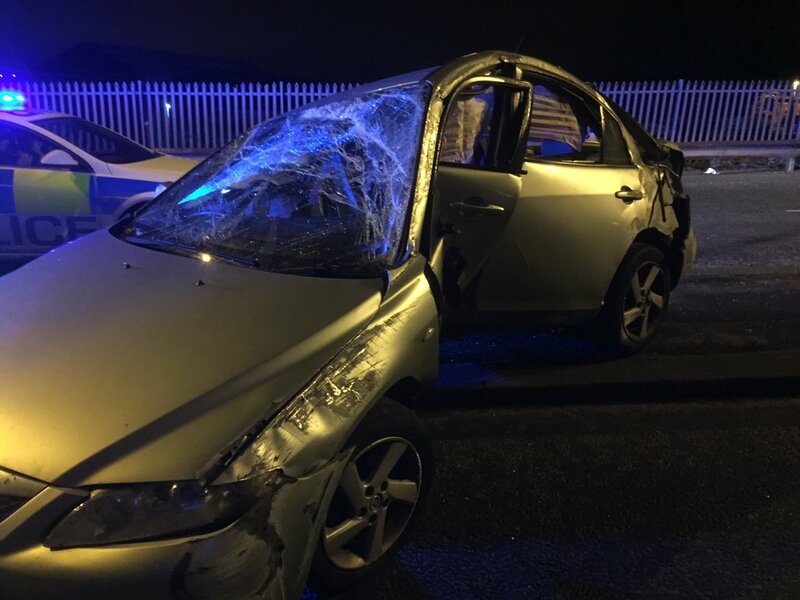 Ambulance staff were left stunned after turning up at the scene of a crash to find a car that had suffered massive damage, yet the driver was walking about nearby. The crash happened in Soho Way in Smethwick at about 11.10pm on Tuesday night. An ambulance was sent to the scene after three 999 calls. A West Midlands Ambulance Service spokesman said: “When crews arrived they found a car that had been left in a ‘banana’ shape with the roof crushed down after rolling over and hitting a lamppost. “The man driving had somehow managed to get out of the vehicle and was walking about at the scene. Tuesday 16th February 2016 – 8.15pm – Claire Brown. 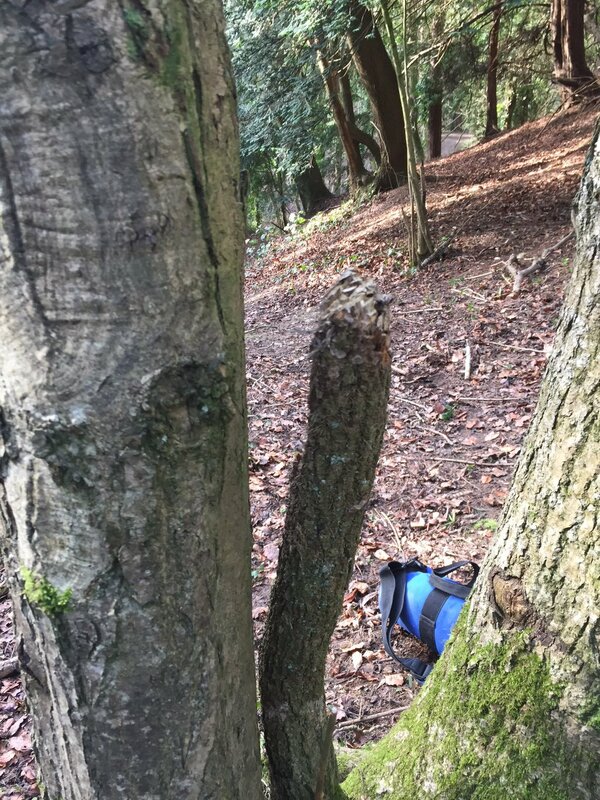 A mountain bike rider had to be rescued with help from specialist paramedics after he collided with a tree on a steep muddy slope in. 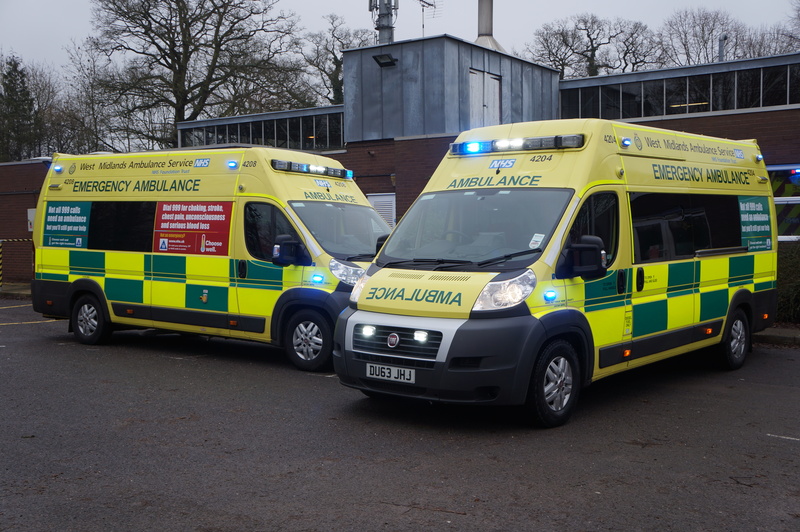 The ambulance service received a 999 call at 12.15pm on Tuesday afternoon after a teenage boy had collided with a tree whilst riding in a wooded area near to Ledbury Police Station on the Worcester Road. An ambulance and a community paramedic were sent and were later supported by the Trust’s Hazardous Area Response Team (HART). A West Midlands Ambulance Service spokeswoman said: “The ambulance crew were flagged down by the teenagers’ friend before being guided up a steep muddy slope to the boy’s location, about 200 yards away from the road. “The 13-year-old, who had reportedly been knocked unconscious initially, had suffered a cut and bruising to his face as well as pelvic pain. “The ambulance staff administered pain relief to help ease the teenager’s discomfort before they carefully immobilised his pelvis to prevent further movement. “Once HART were on scene, the teenager was placed in a specialised MIBS (multi integrated body-splint) stretcher which is made of tough fabric and has carry handles for easy use. Tuesday 16th February 2016 – 11.15am – Claire Brown. A road traffic collision in Worcester during this morning’s rush hour left two motorists in need of trauma care from the ambulance service. West Midlands Ambulance Service was called to the A443 Hallow Road at 6.45am this morning (Tuesday). An off duty paramedic came across the collision involving two vehicles and stopped to help. Two ambulances, a responder paramedic and a paramedic area support officer were also sent to the scene. A West Midlands Ambulance Service spokeswoman said: “Two vehicles had been involved in a collision which had left one driver mechanically trapped inside the wreckage. The man, believed to be 18, was conscious and breathing but had sustained multiple injuries which needed trauma care. Whilst ambulance staff administered pain relief and treatment, the fire service worked to release the man from the wreckage. After around 25 minutes, ambulance and fire colleagues were able to lift him out of the car. The man was fully immobilised before being taken to Worcester Royal Hospital for further assessment and treatment. 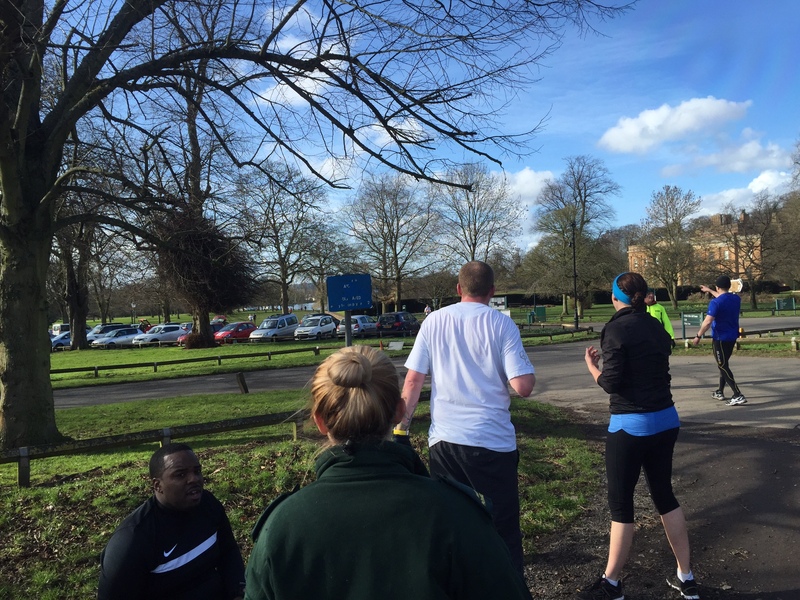 Tuesday 16th February 2016 – 10.30am – Claire Brown. A pioneering partnership between West Midlands Ambulance Service and the University of Wolverhampton will see 30 life saving devices installed at locations across the West Midlands. The University of Wolverhampton has signed a memorandum of understanding with the Trust pledging its commitment to install defibrillators at its University campuses in Wolverhampton, Walsall, Telford and Burton as well as at partner Academy schools in the region. An automated external defibrillator is a device which helps to restart the heart of someone in cardiac arrest. There are over 3,000 defibrillators in communities across the West Midlands and even though they come in many different makes, colours and sizes, they all do the same thing and are extremely easy to use. Professor Geoff Layer, Vice Chancellor at the University of Wolverhampton, and West Midlands Ambulance Services Chief Executive Officer Anthony Marsh met on Monday 15th February to officially sign the memorandum of understanding which defines the responsibilities of the two parties in the provision of an Automated External Defibrillator (AED) and basic life support (BLS) to a person in a cardiac arrest until the arrival of the statutory ambulance response. Anthony Marsh said: “As a Trust, we’ve helped to install thousands of defibrillators and trained 60,000 people in lifesaving CPR skills across the Region. Over the last 12 months alone, we’ve worked incredibly hard to place hundreds of defibrillators across the Black Country in locations such as sports facilities, supermarkets, tourist attractions and schools to help someone in cardiac arrest. Professor Geoff Layer said: “As an institution with thousands of staff and students on site, as well as our campuses being located right in the heart of our towns and communities, it’s really important that we officially show support and commitment to the West Midlands Ambulance Service – helping them to provide a rapid response in the event that someone suffers a cardiac arrest whilst on our premises. The University has already installed six defibrillators in its Wolverhampton City Centre Campus locations, three at its Walsall Campus, two at its Telford Innovation Centre, two at the Wolverhampton University Science Park and one at its Burton Hospital Campus as well as 16 at partner Academy Schools. Photographs courtesy of the University of Wolverhampton. Monday 15th February 2016 – 9.23pm – Murray MacGregor. A teenage motorcyclist has been airlifted after colliding with the side of a van going in the opposite direction. The incident happened on Monks Park Lane at Mancetter near Atherstone at around 12.40pm on Monday lunchtime. An ambulance and the Warwickshire and Northamptonshire Air Ambulance were sent to the scene. A West Midlands Ambulance Service spokesman said: “When ambulance staff arrived they found the bike and van damaged. “The 18 year old rider had suffered a broken leg, but his leathers had saved him from other injuries. “He was immobilised at scene. The doctor from the helicopter gave him strong pain relief which allowed the man’s leg to be straightened and splinted before he was airlifted to the major trauma centre at University Hospital Coventry & Warwickshire. “The air ambulance was able to land on a golf course fairway right next to where the incident happened. “Thankfully, the van driver was uninjured. Monday 15th February 2016 – 7.35pm – Murray MacGregor. 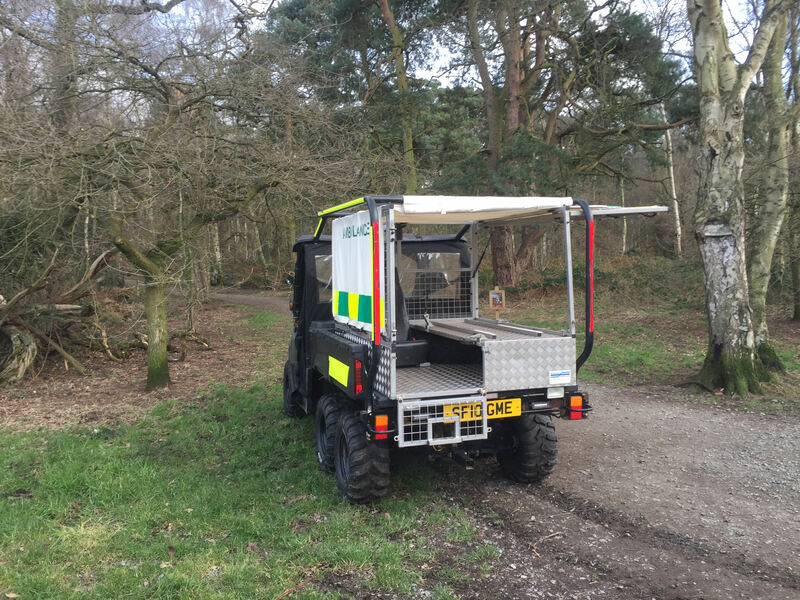 A man who suffered a suspected stroke had to be rescued with the help of a Polaris 6×6 vehicle. 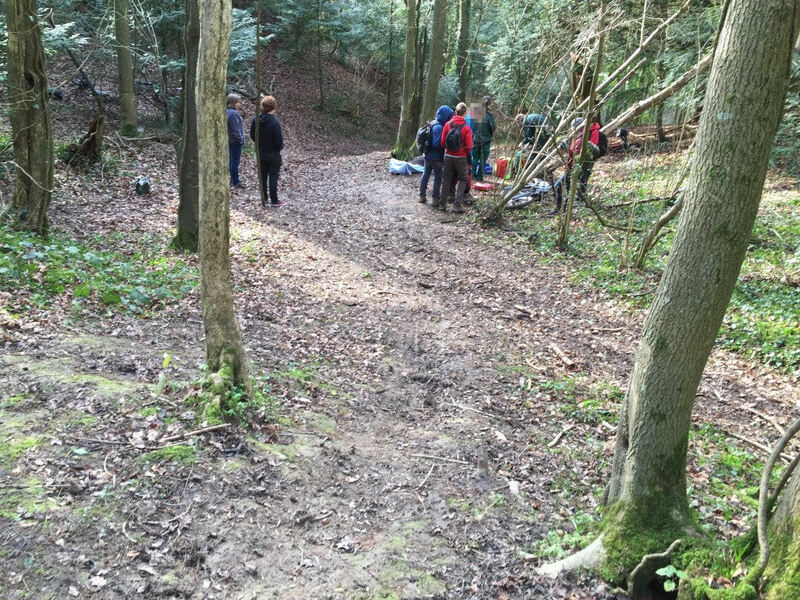 An ambulance was initially sent to the scene after a 999 call at 2.25pm on Monday afternoon, but the crew had to walk almost half a mile through the trees to the man so requested back up from the Hazardous Area Response Team (HART). A West Midlands Ambulance Service spokesman said: “The 63year old had collapsed while out walking with a friend after suffering a suspected stroke. “The track was not suitable for an ambulance to get down so the crew asked HART to attend. They used their 6×6 Polaris vehicle to get to the patient and bring him out to the ambulance. Monday 15th February 2016 – 7.20pm – Murray MacGregor. An elderly motorcycle rider has ended up in hospital after an unfortunate collision with a friend he was riding with. The incident happened in Shropshire on the A49 just north of Hadnall near the junction of Painsbrook Lane at just before 2.00pm on Monday afternoon. Two ambulances were sent to the scene. A West Midlands Ambulance Service spokesman said: “The two friends were riding big ‘touring’ type bikes when they collided as they waited for a car to turn. Unfortunately, the rider in front was sent over his handlebars by the force of the collision. “The man, who approximately 70 years old, suffered a serious back injury and a fractured rib along with an abrasion to his forehead. “He initially received care from two off duty nurses who came across the incident. The ambulance crew paid tribute to the care they were providing when they arrived. “The man was immobilised using a neck collar and spinal board before being taken to Royal Shrewsbury Hospital for further treatment. “The second rider, who was estimated to be in his 50s, suffered only a minor graze to his knee and was discharged at the scene. Monday 15th February 2016 – 5.20pm – Murray MacGregor. A youngster has escaped potentially very serious injuries after an incident with a car. It happened near To Abraham Darby School on Ironbridge Road in the Woodside area of Telford at lunchtime. An ambulance was sent to the scene after three 999 calls at 1.30pm today (Monday). A West Midlands Ambulance Service spokesman said: “When the crew arrived, they found an off duty nurse with the seven year old. He had suffered quite a nasty injury to his foot after the car went over it, but otherwise he appeared uninjured. “He was given pain relief before having the injury treated at the scene by the crew. He was then taken to Royal Shrewsbury Hospital for further assessment. Monday 15th February 2016 – 4.35pm – Murray MacGregor. A van driver was trapped for about an hour after a crash that left both vehicle and a telegraph pole badly damaged. The incident happened beside the recycling plant on Harbury Lane at Bishops Tachbrook near Leamington at about 2.00pm on Monday afternoon. A rapid response vehicle, an ambulance, a paramedic area support officer and the Midlands Air Ambulance from Strensham attended the scene along with firefighters and police. A West Midlands Ambulance Service spokesman said: “Crews were told that the white panel van was heading towards Warwick when it left the road and collided with a telegraph pole. 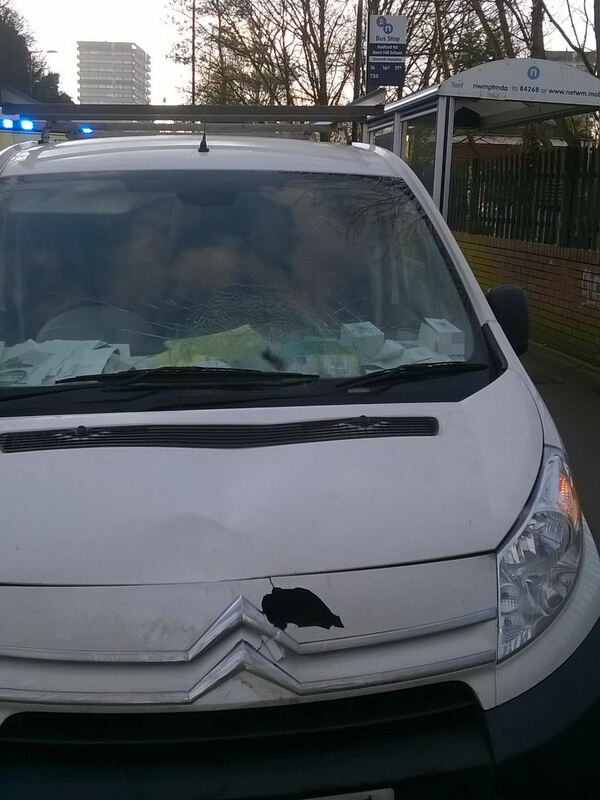 “The van was very badly damaged on the driver’s side which made access for ambulance staff extremely difficult initially. They treated the man while firefighters cut away the bulkhead and other parts of the vehicle to allow the man to be removed on a spinal board. In total it took about an hour to get him out, such was the level of damage. “Surprisingly, the 57 year old man only appeared to have broken his shoulder. After further treatment at the scene, the man was taken to the major trauma centre at University Hospital Coventry and Warwickshire by land ambulance. Monday 15th February 2016 – 12.45pm – Murray MacGregor. The drivers of two vehicles that had a crash had a very rapid response after colliding right outside a fire station. It happened this morning outside the station in Knutton Lane in Newcastle under Lyme. The crash, involving a small van and a car, happened at about 7.40am on Monday morning. Unsurprisingly, given the location, Staffordshire firefighters were first on scene, followed soon after by ambulance staff. A West Midlands Ambulance Service spokesman said: “The initial call suggested the driver of the van, which had rear end damage, was initially unconscious. “However, by the time the ambulance service rapid response vehicle arrived, six minutes after the 999 call, the man was fully conscious. An ambulance and paramedic area support officer were also sent to the scene. “The man, who was in his 40s, was immobilised before being taken to Royal Stoke University Hospital complaining of back pain. Sunday 14th February 2016 – 7.40pm – Jamie Arrowsmith. The words of a paramedic area support officer following a single vehicle road traffic collision this afternoon that saw a car suffer significant damage and roll a number of times. West Midlands Ambulance Service was called to Shawe Park Road in Kingsley Holt, Stoke-on-Trent, shortly after 5.35pm and sent an ambulance, a community paramedic in a rapid response vehicle and a paramedic area support officer to the scene. A West Midlands Ambulance Service spokesman said: “On arrival, crews were told the car had rolled six or seven times after initially leaving the road, causing it to suffer significant damage. “The driver of the car, a man believed to be in his 20s, was out of the car on arrival of ambulance staff and incredibly appeared to have escaped serious injury. “He was assessed and treated for shoulder pain before being taken to Royal Stoke University Hospital as a precaution. Sunday 14th February 2016 – 6.40pm – Jamie Arrowsmith. A motorcyclist has received trauma care at the scene of a road traffic collision in which he suffered serious injuries this afternoon. 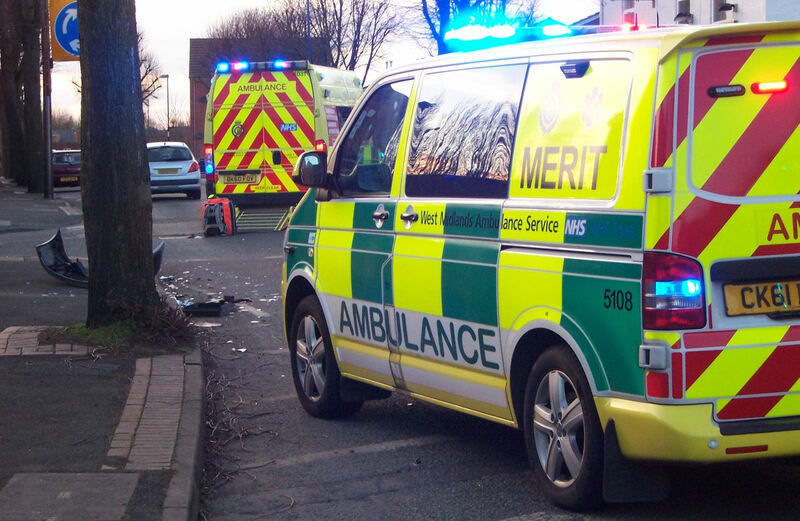 West Midlands Ambulance Service was called to reports of a collision between a motorbike and a car on Meaford Drive in Blurton, Stoke-on-Trent, shortly after 3.45pm and sent two ambulances, a paramedic area support officer and two BASICS doctors to the scene. A West Midlands Ambulance Service spokesman said: “On arrival, crews discovered two patients, both who had been travelling on the motorbike. “The man riding the bike, who is believed to be in his late teens, was found on the other side of the car and in a serious condition. “Crews immediately began advanced trauma care in order to stabilise the man’s condition and immobilised him before he was transported to Royal Stoke University Hospital. The hospital had been pre-alerted to the man’s condition prior to his arrival. “The second patient, also a teenager, who was a pillion passenger, was assessed and treated for minor injuries before also being taken to Royal Stoke University Hospital. Saturday 13th February 2016 – 8pm – Jamie Arrowsmith. A man received pre-hospital care from the ambulance service before being airlifted to hospital after he was injured whilst playing rugby in Worcestershire this afternoon. West Midlands Ambulance Service received a call to Malvern Rugby Football Club on Spring Lane in Malvern shortly after 3.30pm and sent an ambulance, a community paramedic in a rapid response vehicle and the Midlands Air Ambulance from Strensham to the scene. A West Midlands Ambulance Service spokesman said: “The man, believed to be in his 20s, suffered a serious ankle injury whilst playing rugby. “On arrival, ambulance staff worked to stabilise his condition, treated the injury and administered pain relief. “Once the ankle had been straightened, the man was carefully moved on to the air ambulance which had landed on the pitch. Since we published an article about a collision between a small van and a bicycle, a number of people have asked questions via social media about the contents of the article. We have also spoken to the family of the teenager about the issues raised. Let us be very clear, it is not our intention to blame anyone, cyclist or van driver. If that it is how it is being perceived, then we apologise. We were certainly not in any way whatsoever trying blame the teenager for being injured in this incident. We are simply trying to highlight that collisions like this do occur and if there is something simple that can be done to minimise the level of injury then, we would aim to highlight this as it may, at some point in the future, reduce the injury to someone else. We apologise if any distress has been caused to the patient or his family. Over recent weeks we have used social media extensively to advise drivers of keeping vehicle windscreens free of ice when setting off on frosty mornings to improve the chances of seeing other road users and the dangers of drink driving including the morning after a night out. Equally we have asked other road users to be mindful of each other. In terms of advice relating to cycling and the use of cycle helmets, we base our advice on current available evidence and expert opinion. Although the efficacy of helmet use is often debated, the evidence for protective benefit is strong. Multiple observational studies support a protective advantage after collision, as increasing helmet use is associated with a decline in bicycle-related head injuries. Helmets appear effective at preventing minor head injuries further supporting our stance (1-4). This has been borne out in American, French and British studies, even when serious head injury and collision with motor vehicles are analysed. We do note that the current UK infrastructure does not lend itself to safe cycle use and it is widely accepted that dedicated cycle areas separated from motor vehicles would vastly reduce the burden of injury and therefore the need for helmet use. Denmark and Holland are examples of such innovation and have proven this to be the case. A similar trial is currently underway in London on Exhibition Road, which has seen just one cycle accident in four years, and this involved two cyclists riding into each other. However, taking the current road and cycle network within the West Midlands and the United Kingdom into account, the best available evidence continues to point towards the use of cycle helmets protecting riders from facial injuries and minor to moderate, often life-changing brain injuries. Whether or not helmets protect from the most severe injuries is less clear. There was a session at the 2014 London Trauma Conference dedicated to cycling, with speakers including a professional cyclist who works as a neurosurgeon, the lead of the London Hospitals Trauma Network and RoSPA. WMAS attended this conference and the discussions firmly supported our stance on the use of cycle helmets. In summary, WMAS aims to provide rounded and relevant advice to the population of the West Midlands without discriminating against any particular group. This advice is wherever possible based on published research and evidence and our position on cycle helmet use falls well within these aims. We quite agree that stopping crashes happening would be the best option as people would not end up injured in the first place. In the past, we have issued advice to both drivers and cyclists about how to reduce the chances of a collision occurring. Within the article we stress that all road users should respect each other. How the collision came to pass is something that we are not able to comment on as this is a matter for our colleagues in the police to determine. We were not there when it happened, therefore we try very hard not to apportion blame to any party involved, and instead concentrate on the work that our staff do. As above, this is not an area that we are able to comment on. There is no doubt that the facilities for cyclists in Holland and Denmark are, in general, superb. The fact that the law means drivers have to give way to cyclists holds many benefits from a safety perspective. We would fully support moves to improve facilities for cyclists be that more dedicated cycle lanes or indeed separate cycle paths. Cycling has huge potential health benefits and improved safety arrangements would only encourage more cycling. It could also lead to less congestion on our roads which would further improves safety. We hope that the above commentary with supporting references to academic papers will provide you with our reasoning behind our belief that wearing a helmet is a good thing. We hope this covers off most of the comments made via social media and also gives an indication as to why we support the use of cycle helmets. Once again, we would apologise to the patient and his family if, by drawing attention to the incident he was involved in to support our road safety message, we have in any way caused distress. Thursday 11th February 2016 – 11.10am – Murray MacGregor. 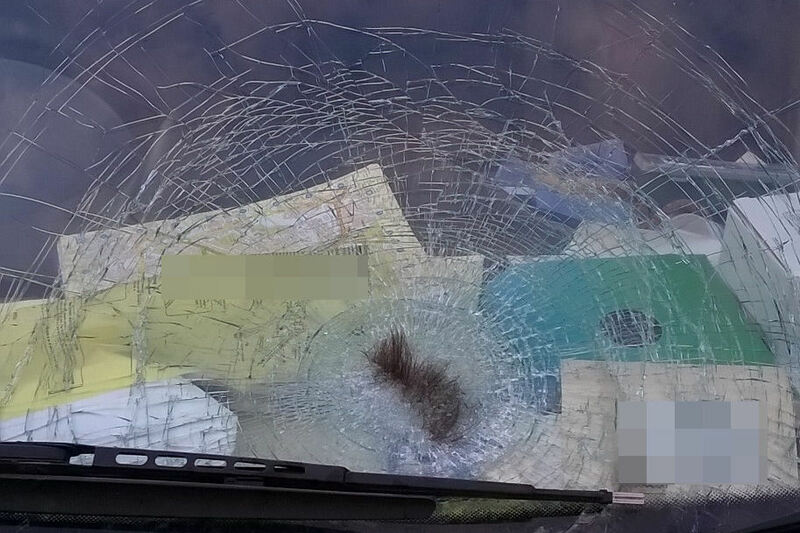 A teenage cyclist whose head hit the windscreen of a small van, as he wasn’t wearing a helmet, has had an extremely lucky escape. The incident happened outside a Coventry school at about 8.40am on Wednesday morning. An ambulance and a paramedic area support officer were sent to Radford Road, outside Barrs Hill School and Community College. 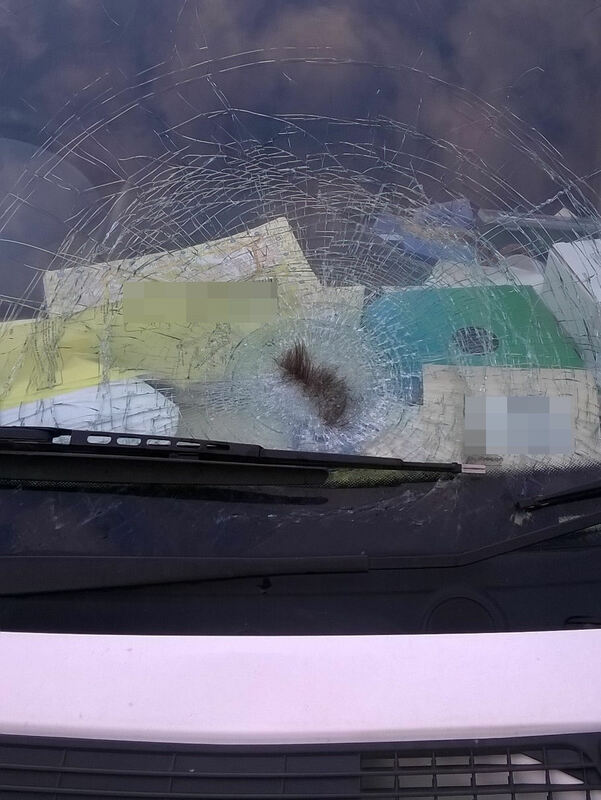 A West Midlands Ambulance Service spokesman said: “When ambulance staff arrived they found a small van with a badly damaged windscreen, with a dent in the bonnet. “The 14 year old cyclist was confused and he couldn’t remember the incident, which are all the hallmarks of a head injury; the teenager was not wearing a cycle helmet at the time. “Due to his condition, he was taken on blue lights to University Hospital Coventry & Warwickshire where doctors were waiting for his arrival. Fortunately, it appears as though his injury is not too serious. “The driver was shaken by the incident but was uninjured. Monday 8th February 2016 – 8.55pm – Jamie Arrowsmith. A cyclist has been treated for a serious head injury at the scene of a road traffic collision this evening. West Midlands Ambulance Service was called to reports of a collision between a car and a cyclist at the junction of the A444 and Stoney Stanton Road in Coventry at 5.50pm. An ambulance, which had two paramedics and a paramedic area support officer on board, was sent to the scene. A West Midlands Ambulance Service spokesman said: “On arrival at the scene, crews discovered a cyclist lying in the road approximately 15ft away from the car he had reportedly been in collision with. “The man, believed to be in his 20s, was not wearing a helmet on arrival of ambulance crews and was treated for a serious head injury and given oxygen at the scene. He had also suffered a suspected pelvic injury. “He was immobilised with the use of a neck collar, scoop stretcher and pelvic binder before being transported to University Hospital Coventry and Warwickshire. “The hospital had been pre-alerted to the man’s condition prior to arrival but thankfully his injuries are not thought to be life-threatening. Monday 8th February 2016 – 1.10pm – Chris Kowalik. A boy and a girl have been injured after a wall collapsed in Worcestershire. West Midlands Ambulance Service was called to the junction of Honeybourne Road and New Street in Bretforton at 8.45am today. Two ambulance crews, a paramedic in a rapid response vehicle, a paramedic area support officer in a rapid response vehicle, the Midlands Air Ambulance from Strensham and the Warwickshire and Northamptonshire Air Ambulance attended. A West Midlands Ambulance Service spokesman said: “Passersby had pulled the children from the debris before ambulance crews arrived. “The boy had leg and back injuries and was flown by the Warwickshire and Northamptonshire Air Ambulance to Birmingham Children’s Hospital. Friday 5th February 2016 – 2.00pm – Chris Kowalik. 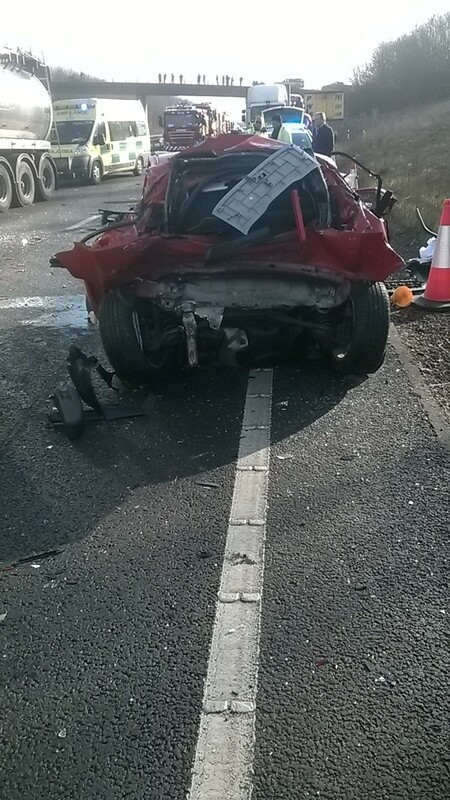 A woman has died after the car she was in was involved in a collision with a lorry. West Midlands Ambulance Service was called to the A38 in Rubery shortly before 5.05am today. Two ambulance crews, a paramedic area support officer in a rapid response vehicle and the MERIT trauma team attended. A West Midlands Ambulance Service spokesman said: “The woman was sadly confirmed dead at the scene. A man in his twenties who was in the car with her was initially trapped with numerous serious injuries. Friday 5th February 2016 – 8.10am – Chris Kowalik. A woman has suffered a serious head injury in a road traffic collision with a car in Worcester. 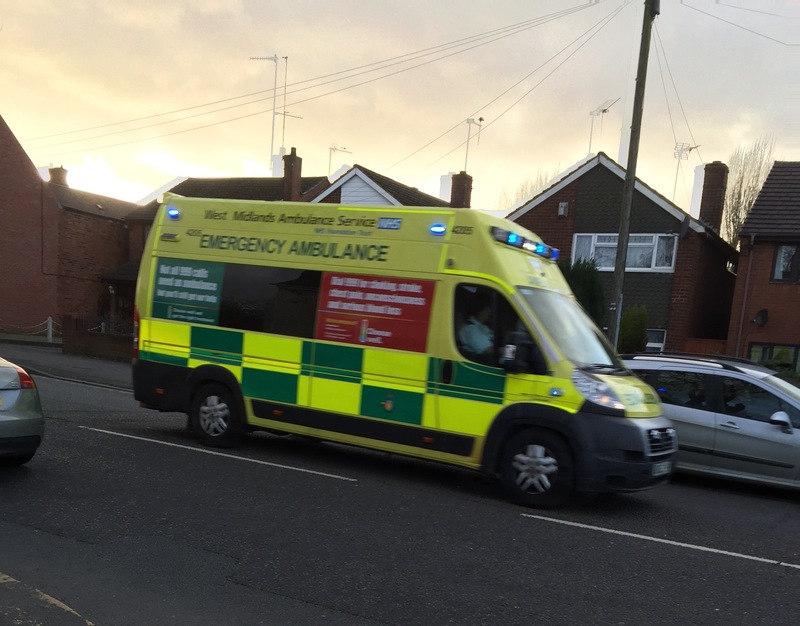 West Midlands Ambulance Service was called to Bransford Road shortly before 8pm yesterday. Three rapid response vehicles driven by critical care practitioners, a paramedic and a paramedic area support officer attended the scene along with an ambulance crew.